So as it turns out, it’s your week to host game night at your place. That one house last Tuesday had pizza and the other apartment ordered a thousand wings to feed the masses. Now what? Should you do the same? Make your usual signature green bean casserole? Sure, you could go that route. Nothing wrong with that at all. But here’s another suggestion that may take the fuss out of feeding a large, diverse crowd: Take a few staple ingredients then prep and separate them into their own serving bowls. 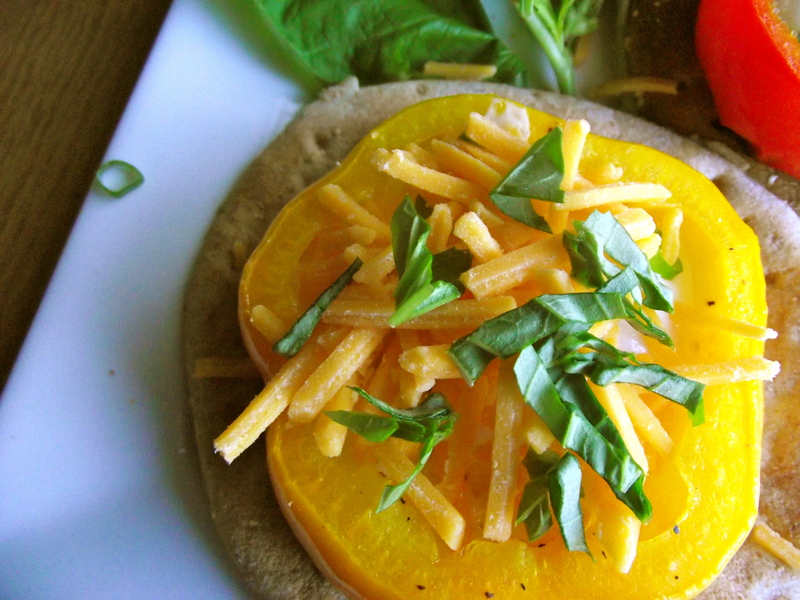 Serve these with a choice of whole wheat, flour, and/or spinach tortillas and the possibilities are endless. Almost. p.s. This is by no means a Mexican recipe; I just borrowed the concept, ya hear! The pairings below are some of my favorites, but feel free to mix it up on your own and use whatever you have on hand. 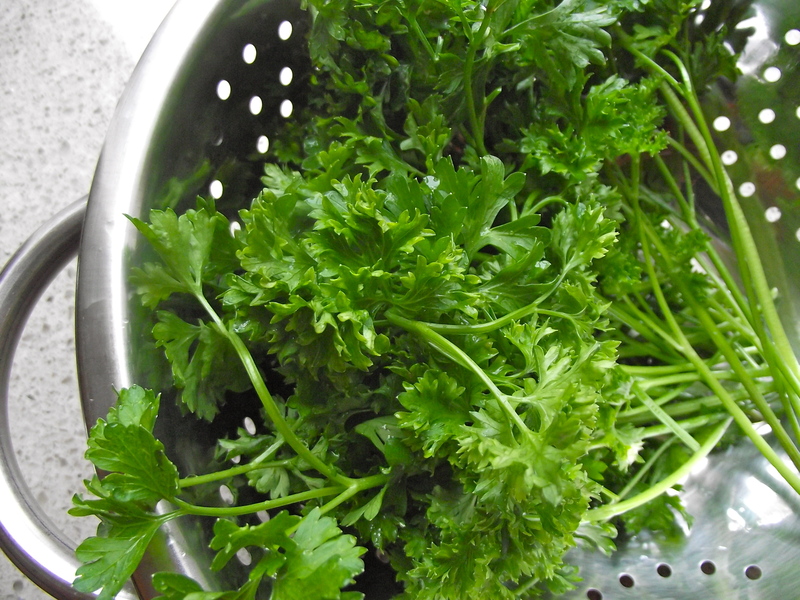 I love cilantro..and I get a little heavy handed with this guy whenever I make my quesadillas. Yumm. A friend of mine, who can’t stand the stuff, likens the taste to soap. Tragic! I say. ‘Tis a wonderful flavor to be likening it to dove. 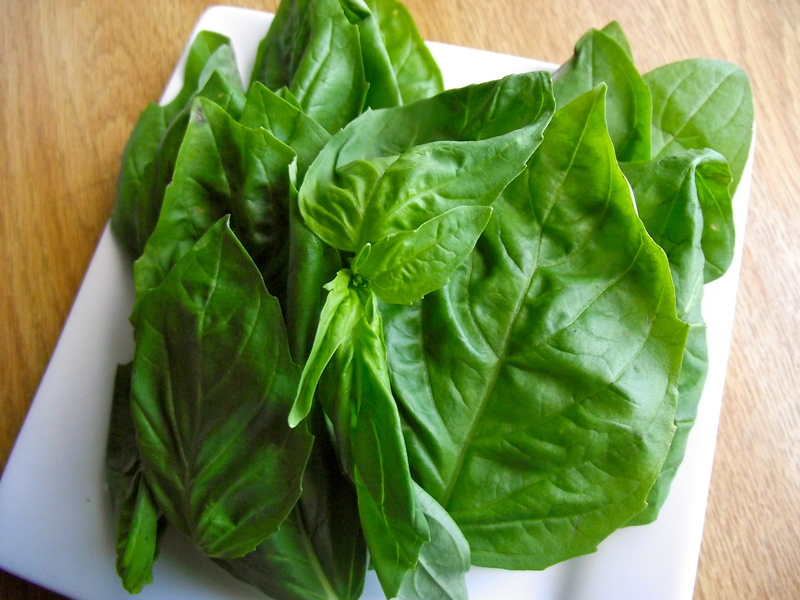 Growing up, I didn’t like Arugula. I tried it for the first time when I was 10 years old at a fancy wedding, eating salad comprised of leaves that could have been pulled from my backyard. 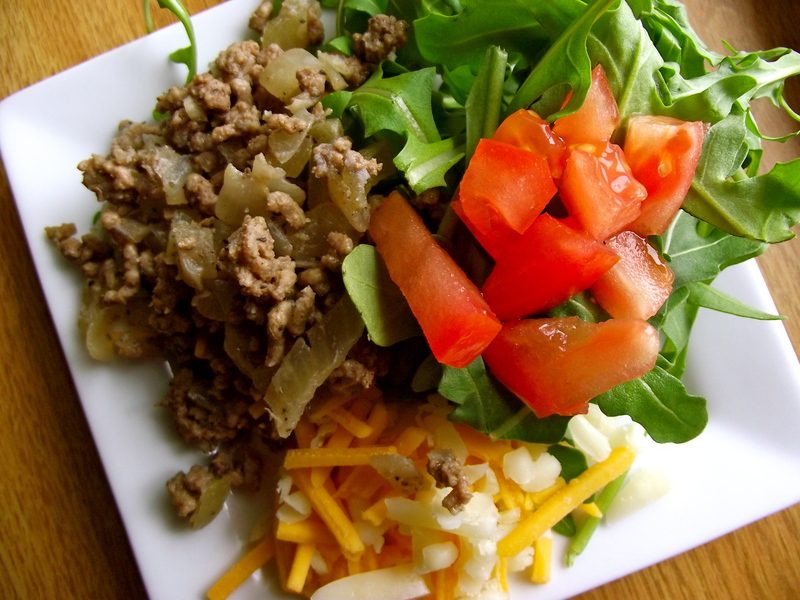 My suspicions were confirmed when the menu read, Dandelion Salad. I admit, this first experience deterred me a bit from foraying into different salad greens aside from my beloved hearts of romaine, iceberg and butter lettuce. 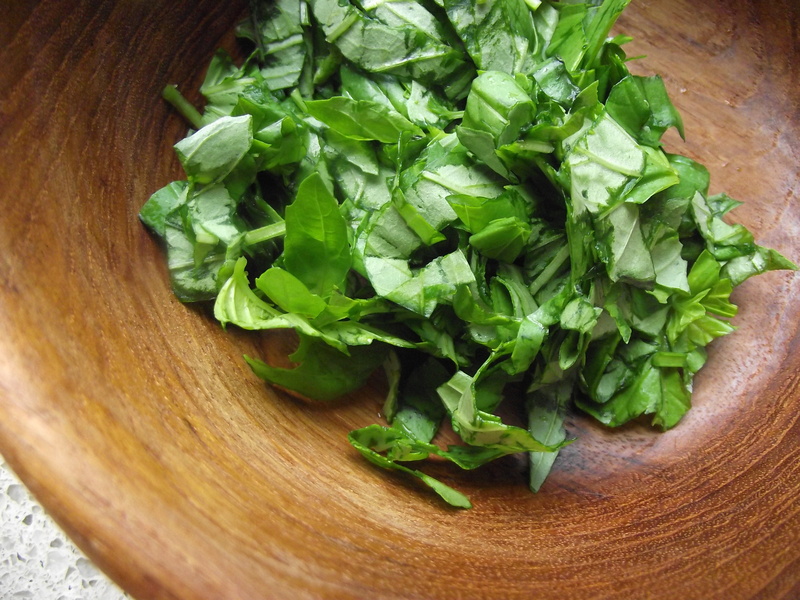 But I gradually developed a penchant for Arugula’s peppery, spicy taste after having incorporated it into a number of non-salad adventures. That’s another story. Enjoying food is also about enjoying the texture. And I love a bit of crunch in my quesadilla. The green peppers do for me, what pickles do to my sandwich. You see what I just did there? Here, I like tomatoes because of their acidity. 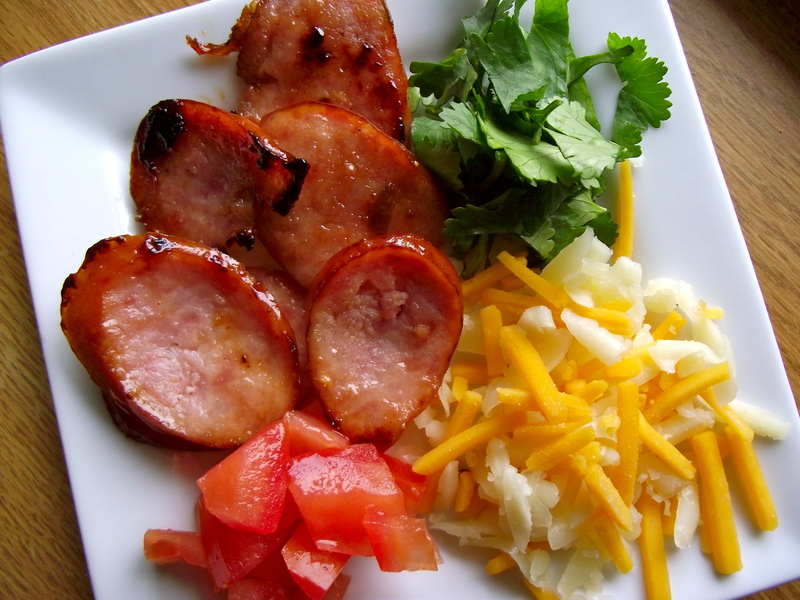 For me, it helps to balance out the smokey, rich flavors of the cheeses and sausage. 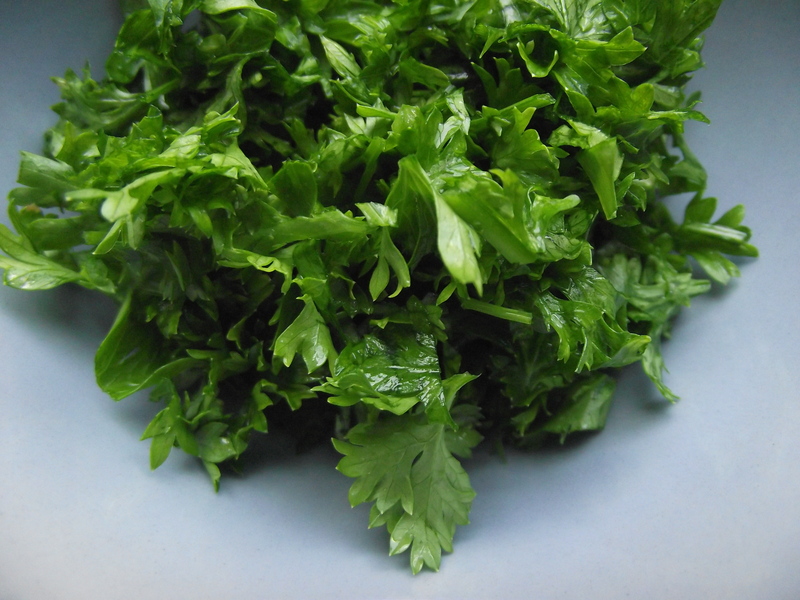 The cilantro.. we’ve been through this before. We’re in a long-term relationship. See a trend here yet? 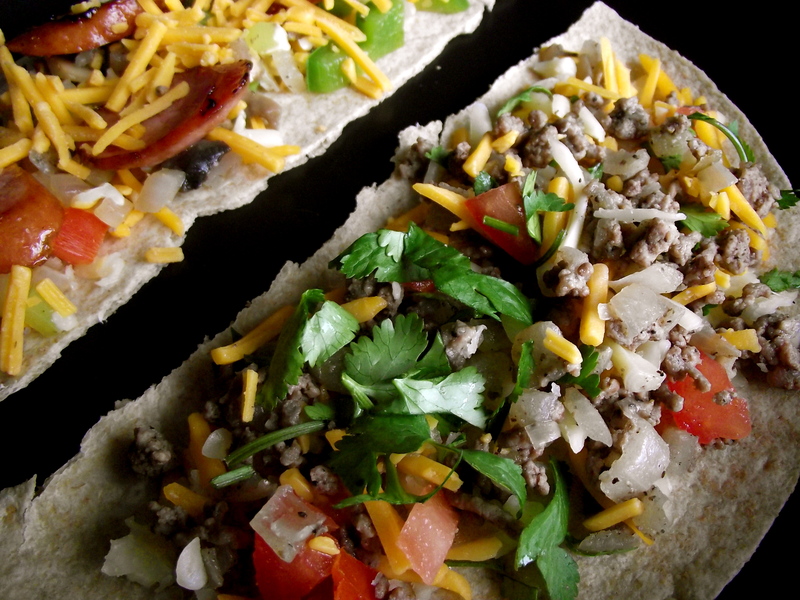 Pick what you like, assemble, and you’re one step closer to a quesadilla catered to your taste. This could easily be vegetarian friendly if you added a few more ingredients to your options: roasted squash and eggplants, avocado, etc. Slurp. You know what else you can make out of these? Omelets. Yes. 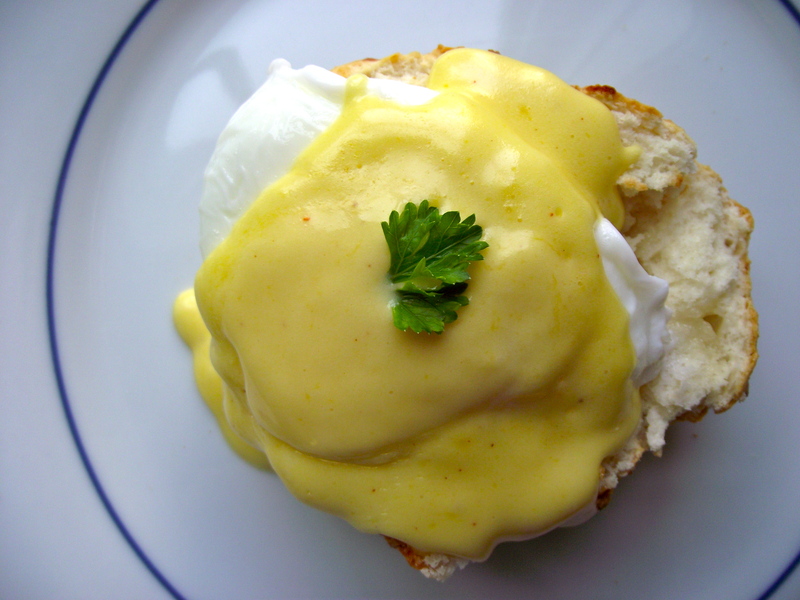 I just breakfasted this idea. Seems like I’m always finding ways to make more breakfast food. Including words that don’t exist. Like breakfasted. 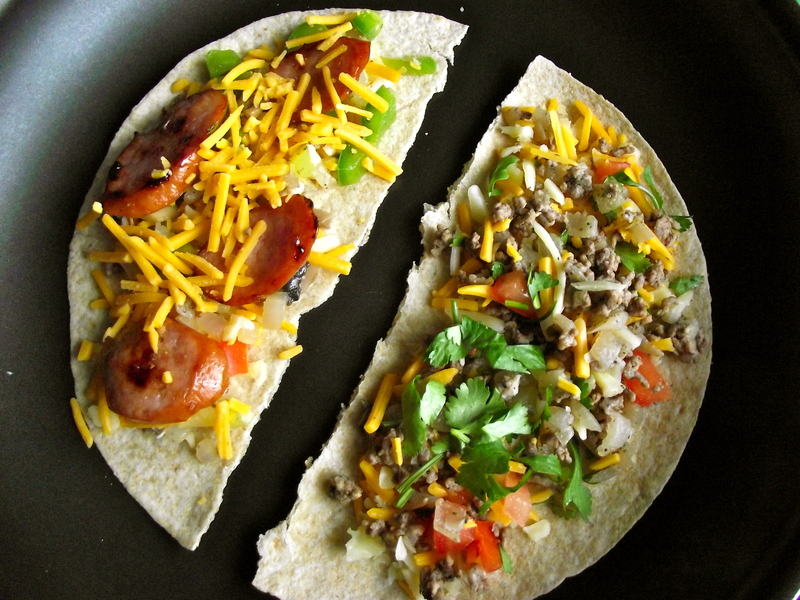 Once you’ve made your way down the assembly line, the next step is to arrange your pickins on your tortilla of choice. Use a frying pan large enough to fit the tortilla with extra room to flip. Keep the heat on medium to medium-low. It will be hot enough to melt the cheese, without burning the tortilla. 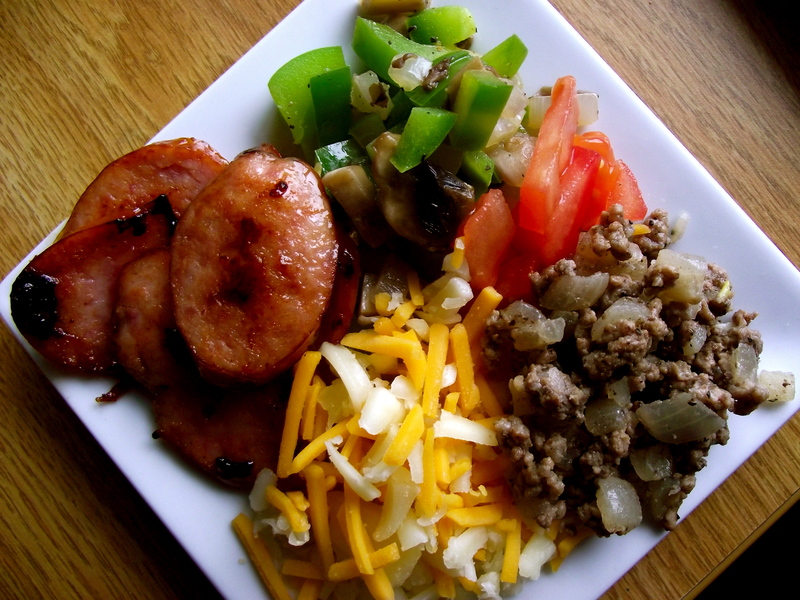 Depending on how stuffed you make yours, cook time could vary from 3-4 minutes on each side. All ingredients here were cooked beforehand, so browning the tortilla and melting the cheese into stringy goodness is all that is left to achieve. 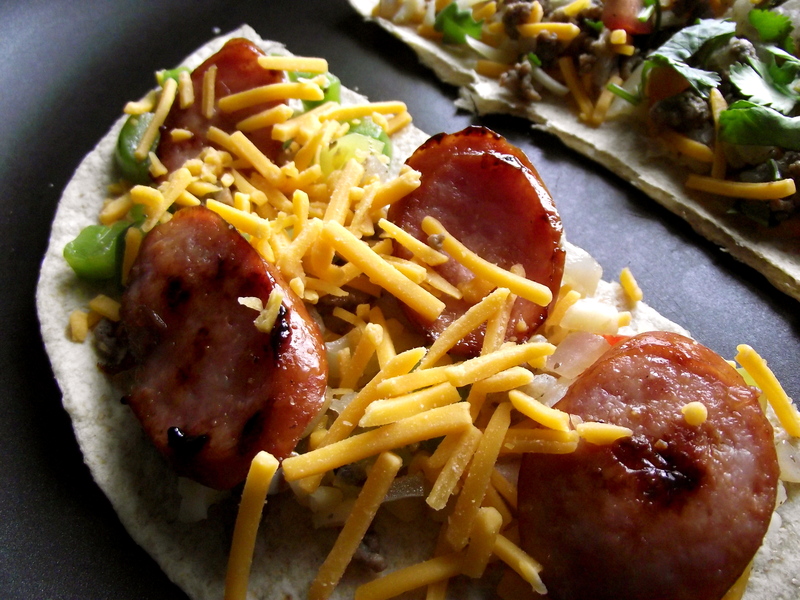 Obviously, you’ll place the top half of the other tortilla on top, but for picture’s sake, I decided to leave it off. I’m all about color. I make my quesadillas in halves because it makes flipping that much easier and less prone to stuffing spillage. Again, your preference. 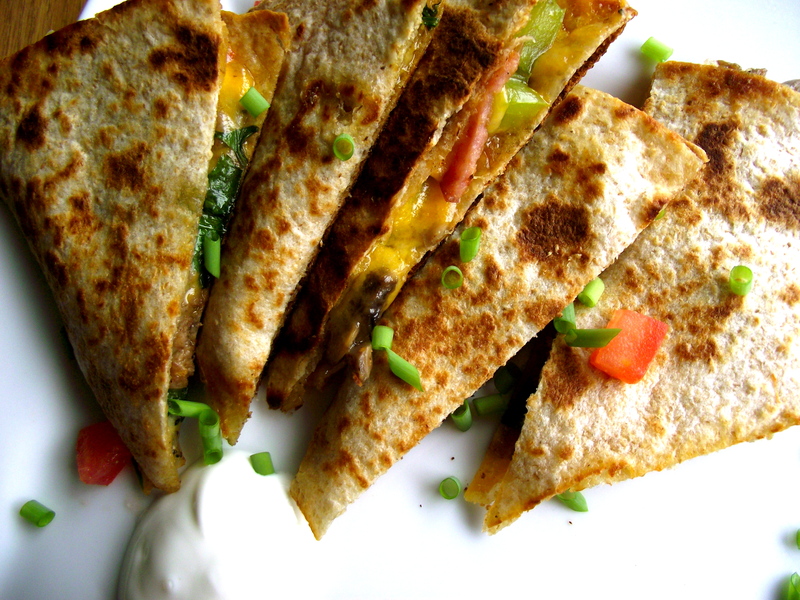 I’m no expert at quesadilla flipping, so these are tricks that make it work for me. What’s great about this concept is that aside from the cooking and prep work, all these steps can be achieved by your hungry guests. They get an opportunity to be creative and make something unique for themselves while you make sure your green bean casserole will live up to its known standards. Clearly, it’s a win-win situation. Since my recent obsession with Pinterest, I’ve been drooling over lots of easy foodie recipes and filing them away in my Tasty Notes pinboard. It’s where all my productivity has gone recently. What thesis paper? Nom nom nom. 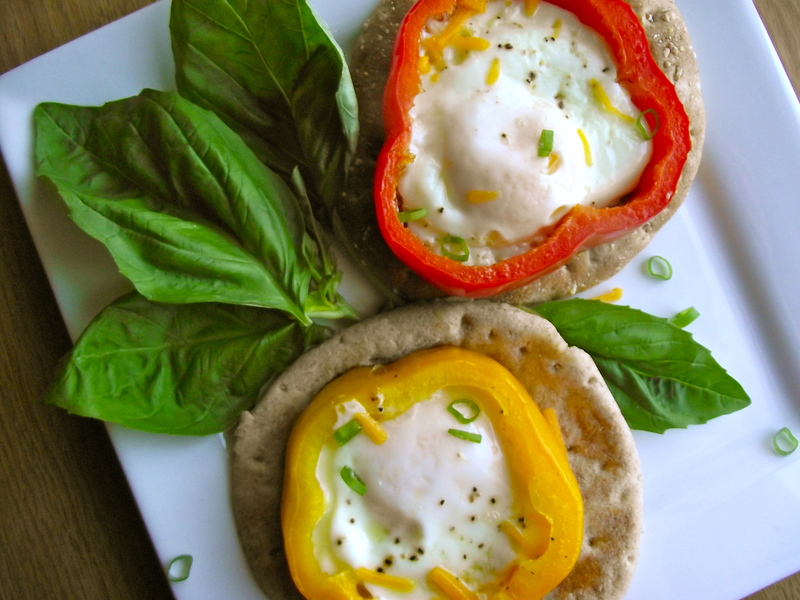 I chose to try this recipe in particular…ok, I admit, purely for the aesthetics of how the egg, cooked in sliced bell pepper rings, emulate images of, what else, flowers. Ahh, how cute is this! I thought. It was all downhill from there. 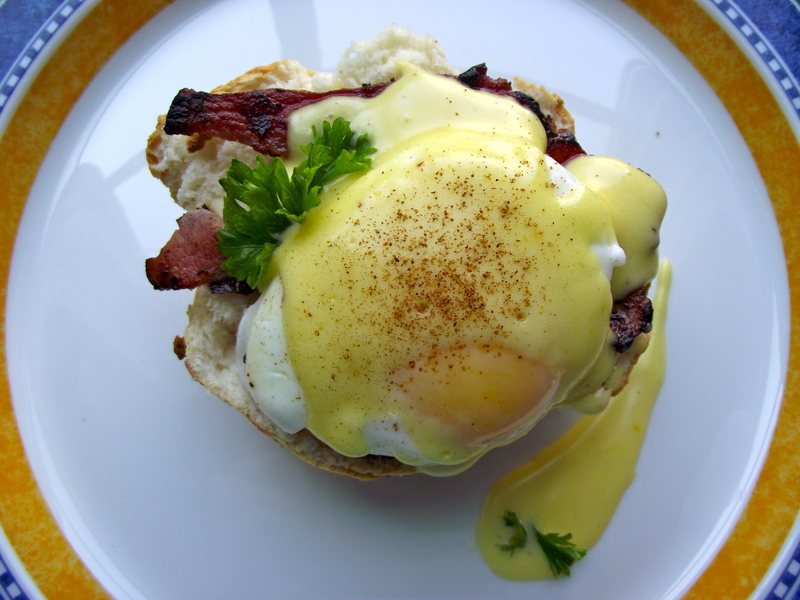 And in all honesty, I have this ongoing love affair with eggs, and breakfast and brinner and I figured this was something I could work into my eggy cravings somewhere. Mhmm, that’s it. Step 1. 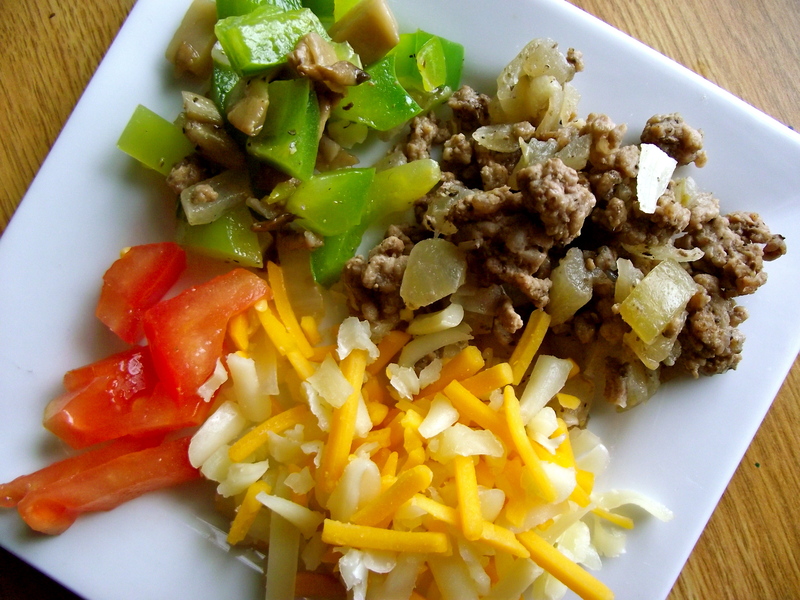 Wash and cut the bell pepper into ½ inch thick rings. Remove the white membranes from the inside. The first time I made this, I cut the rings a bit over half an inch because I wanted the ring to be thick enough to hold in the egg. This will definitely vary depending on the size of egg you use and how big the rings are. Just have fun with it! 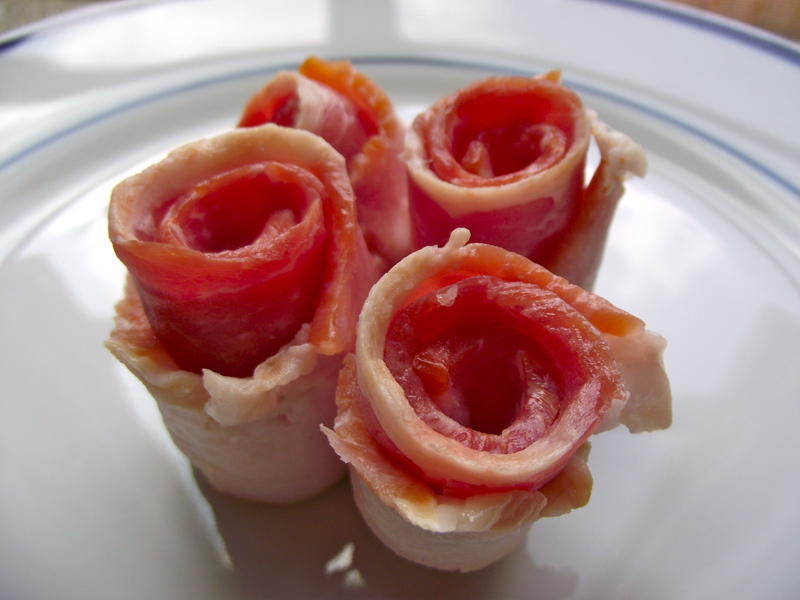 Make sure to slice the rings as evenly as you can, with a non-serrated knife. 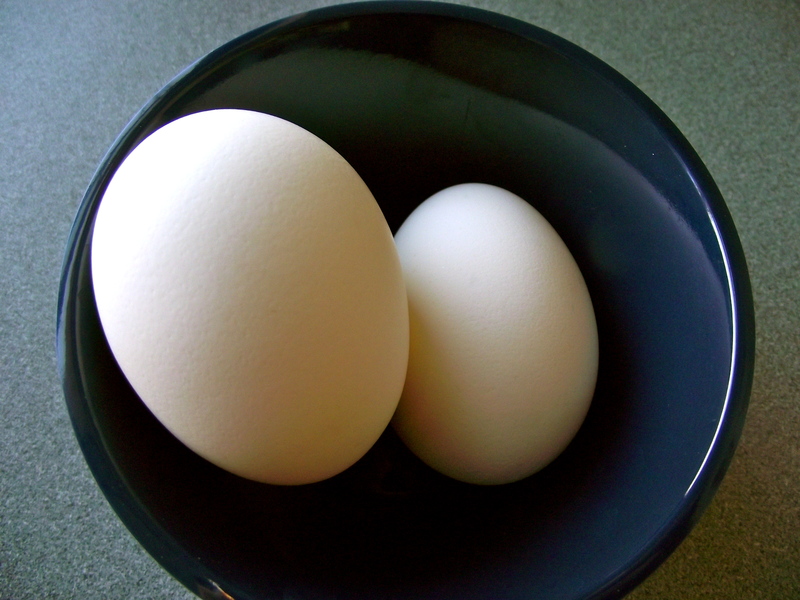 If the rings aren’t straight, egg will leak out from underneath when you crack the egg into the ring. Step 2. 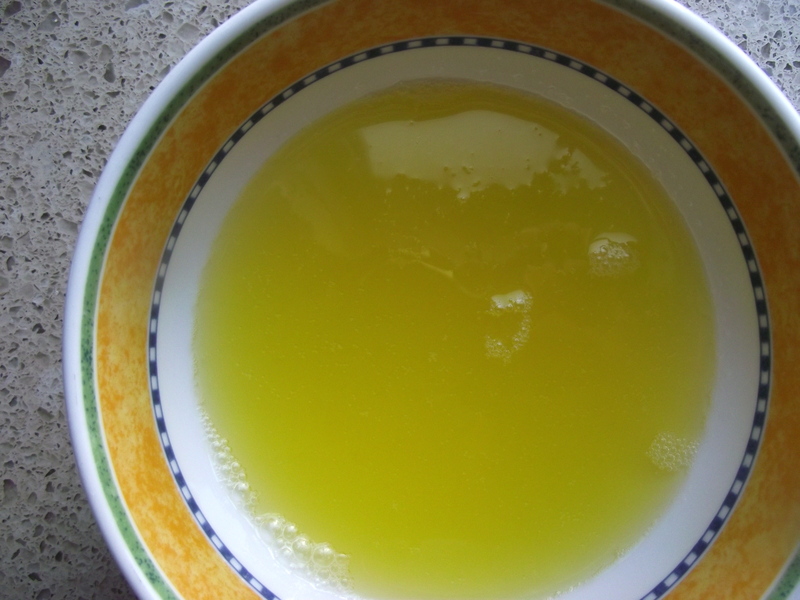 Heat a non-stick pan on medium heat with a tablespoon of olive oil. 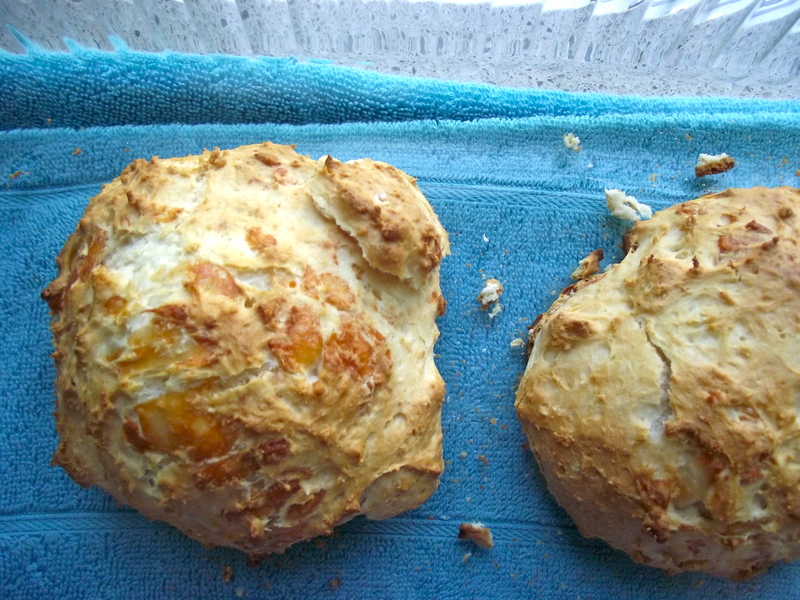 At the same time, turn on the broiler on the high heat setting. If you can use a pan with a metal handle, do so. You’ll see why in a minute. Step 3. 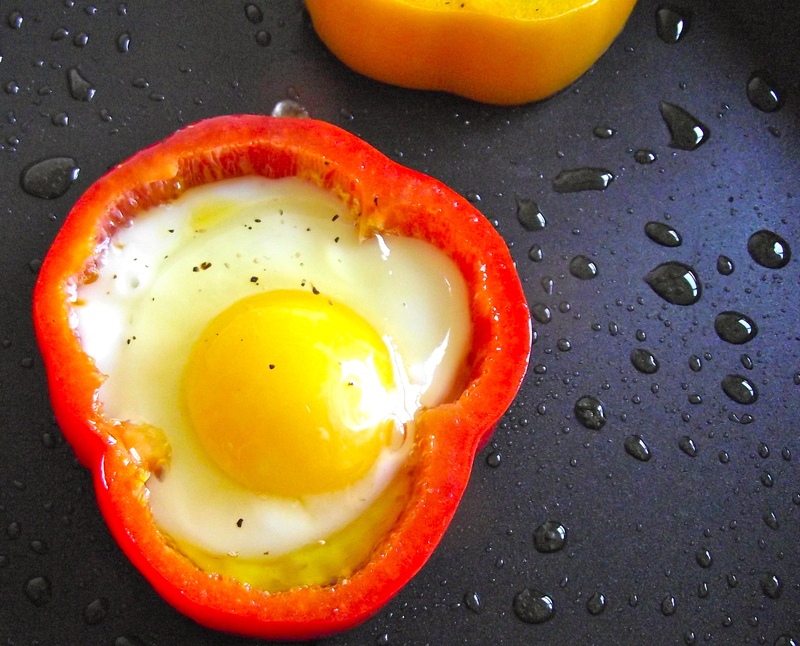 When the oil is heated, add the bell pepper rings and allow to cook 2-3 minutes. Do not flip. 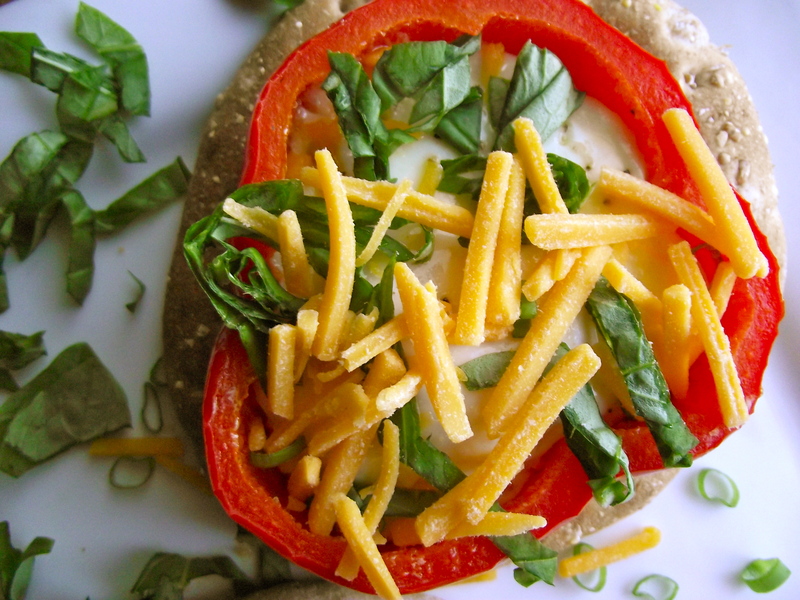 Next, crack one egg into each bell pepper ring and season with salt and pepper. 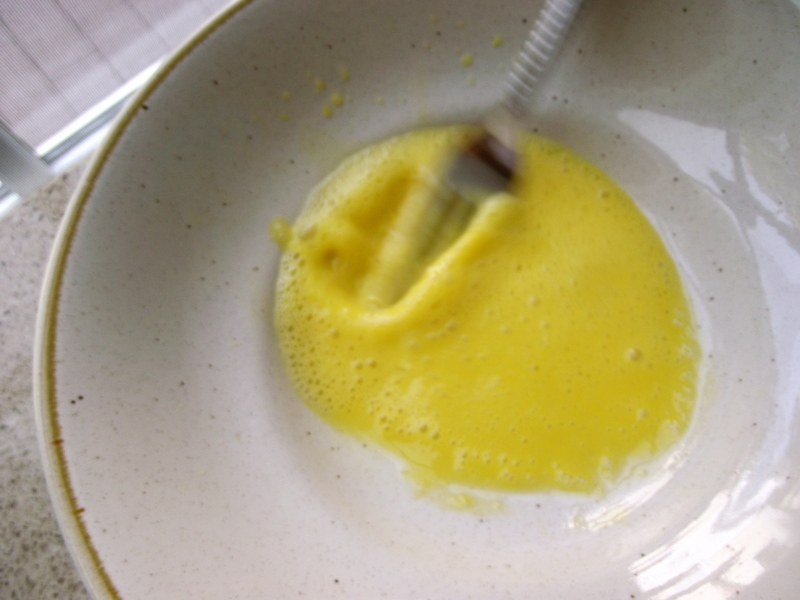 Allow 2-3 minutes to let the bottom of the eggs cook. In the picture, the eggs are left sunny side up and more or less, raw, but I decided to cook the tops of the eggs by sticking the pan under the broiler for about 3 minutes to get the tops of the eggs cooked. Don’t forget to use oven mitts to take out the pan! In my eager anticipation, I almost forgot to do this – not a good idea. Step 4. 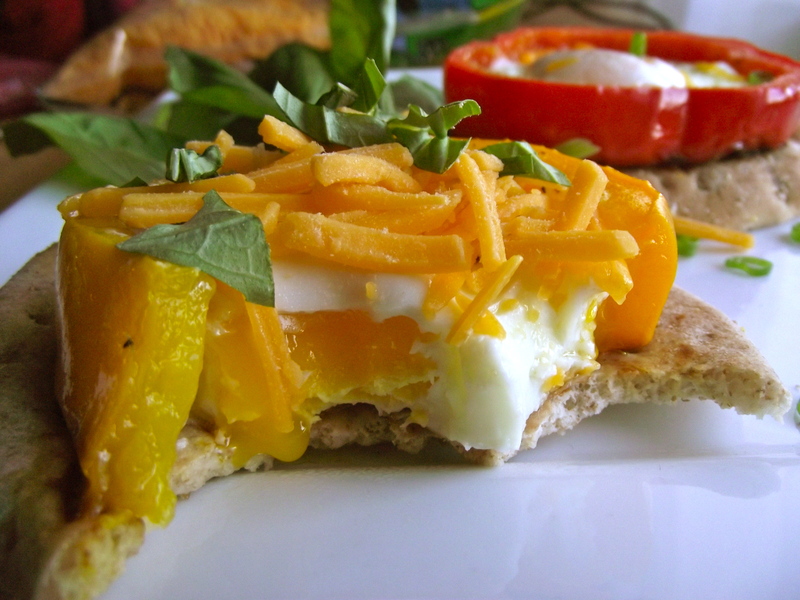 Transfer the pepper-egg on top of toast or wheat sandwich thin. 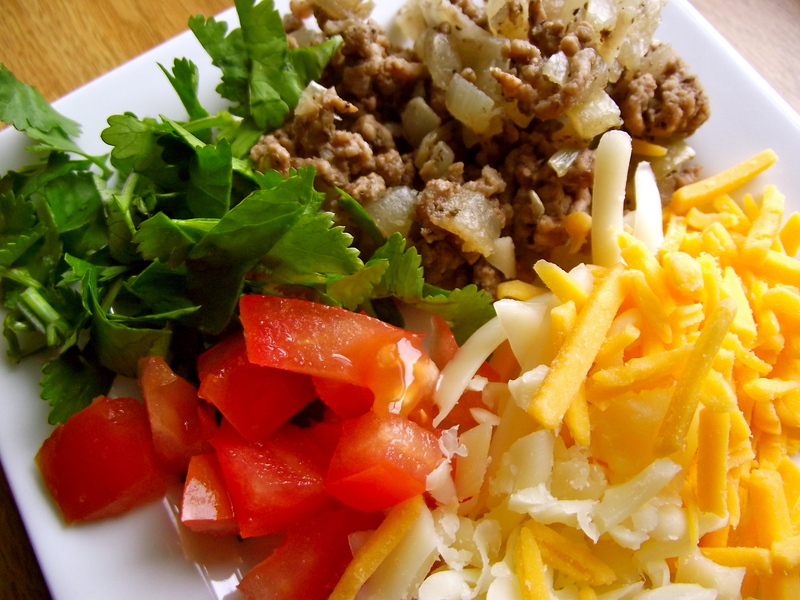 Sprinkle a little cheese and green onion on top and serve! 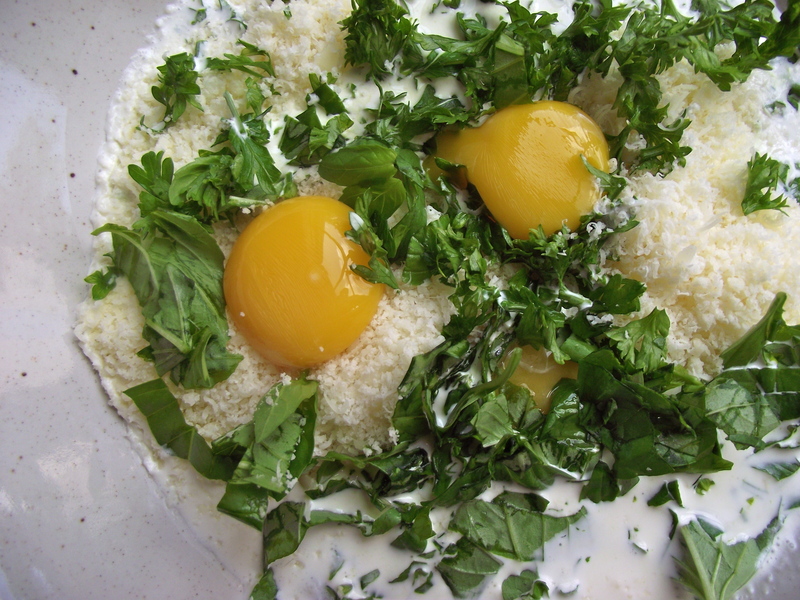 Or in my case, sprinkle a lot of cheese, chopped basil, and green onion. oh. my. sweet. breakfast. yes. 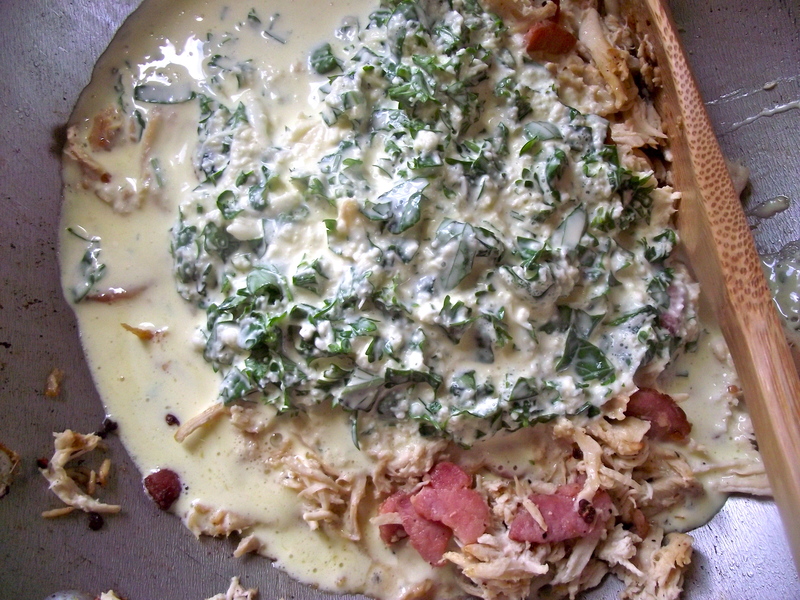 I love the chopped basil and the cheese together. 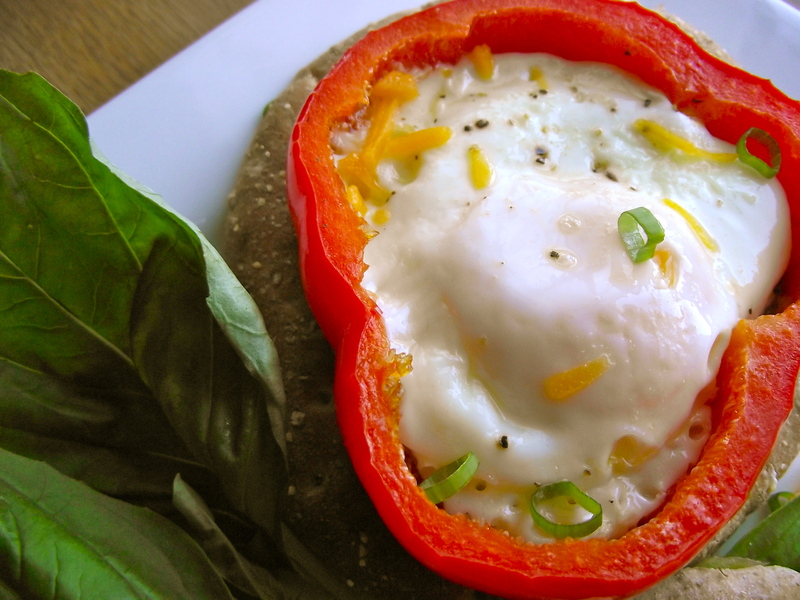 The basil gave it a bit of freshness that wasn’t too overpowering for the egg. Ah the egg. My life wouldn’t be the same without it. 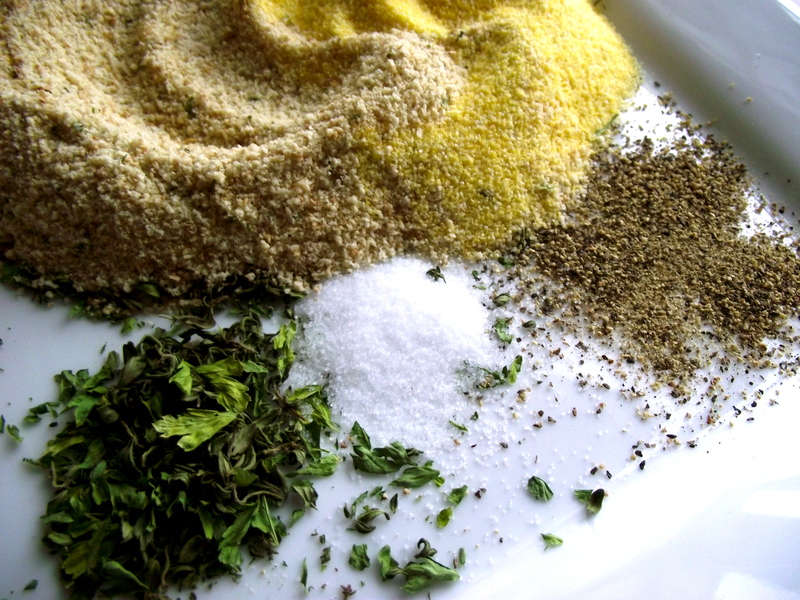 Cheese, basil, bacon or just salt and pepper – try different toppings with whatever you have on hand. Have fun with it, it’s all about your foodie experience and how you make it unique each time. If you love it, make it and make it again and improve it. Share it. It’s the best thing about cooking. This past Friday marked the end of finals week and the beginning of a long, luxurious winter break. The feeling of relief was so deliciously surreal that I spent most of the morning rolling around in bed refusing to get up. My room looked nothing short of a hurricane disaster; clothes flung all over the place, papers strewn everywhere but my desk, my poor, over-worked french press soaking in the sink – all remnants of a hectic quarter gone by. As I stood, yawning, I couldn’t help but realize how fast time has flown by since I started grad school. In less than twenty-five days, we’ll be ringing in the new year and, in three months, I’ll be wrapping things up here, heading to who knows where, and doing who knows what. Maybe I’ll be in school, maybe I’ll be looking for jobs, maybe I’ll drop everything and travel the world. But, I’ll save those thoughts for another day. Now faced with an abundance of free time, I welcomed the opportunity to try an idea that’s been on my mind since I discovered a package of Brazil nuts in my kitchen: to make pesto using Brazil nuts instead of pine nuts. That and I was craving pesto…on a mozzarella tomato panini, on grilled chicken, linguine, three cheese tortellini.. just a small craving..no big deal. 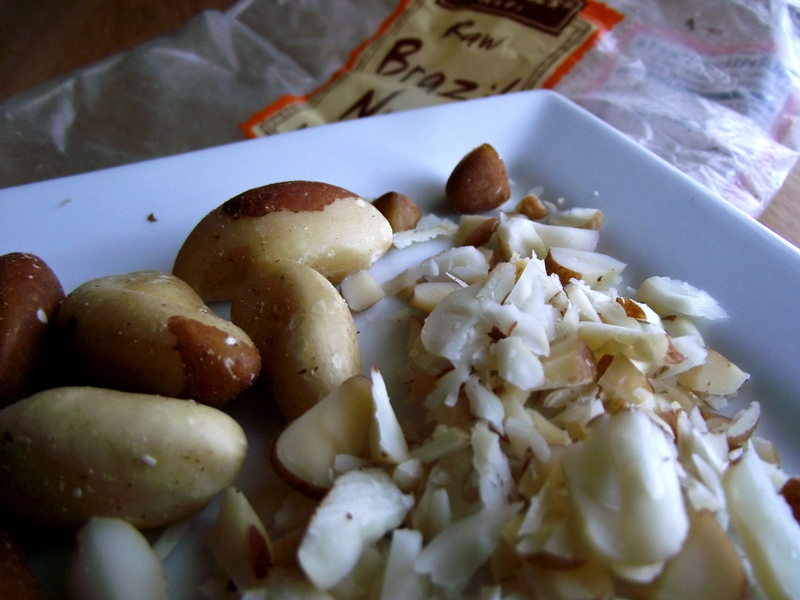 The truth is, I’m not crazy about Brazil nuts. I bought them because I’ve never had them before and the name made them sound all too exotic. Alas they were a bit too dry and bland for my taste, so I wanted to reinvent these suckers into something more delectable. The results? Surprisingly amazing! I personally couldn’t tell the difference using Brazil nuts. 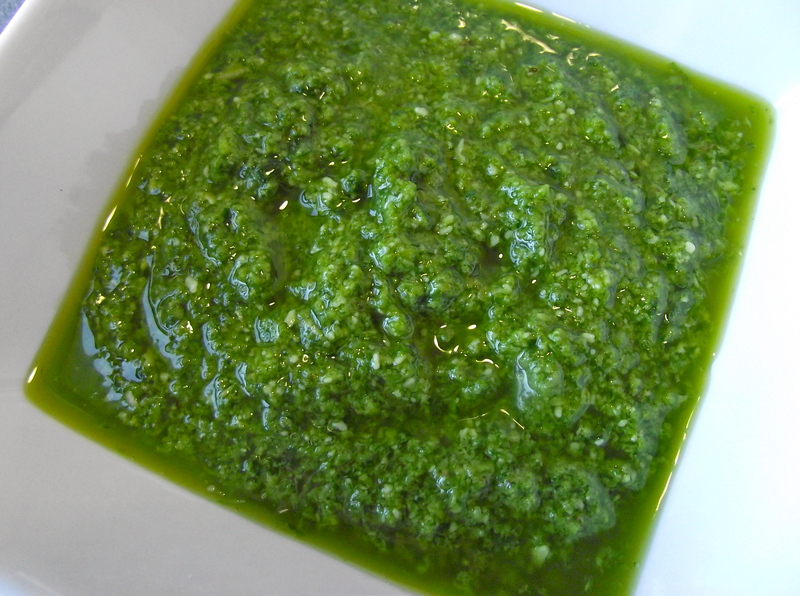 The consistency and texture of the pesto itself is comparable to that of a pine nut pesto. It’s one beguiling imposter. And I’m ok with that. Step 1. 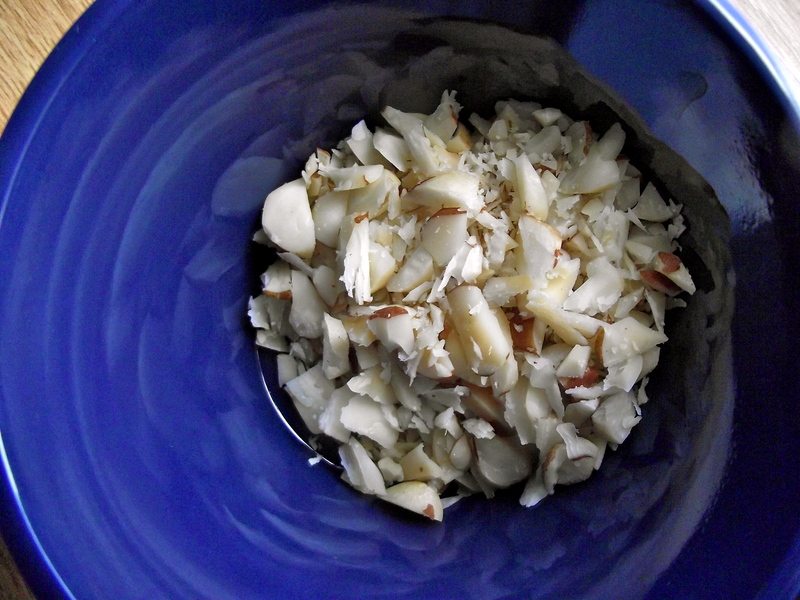 Rough chop the Brazil nuts and add to the food processor. Step 2. Mince the garlic and add with the Brazil nuts. Pulse the mixture once or twice. Step 3. 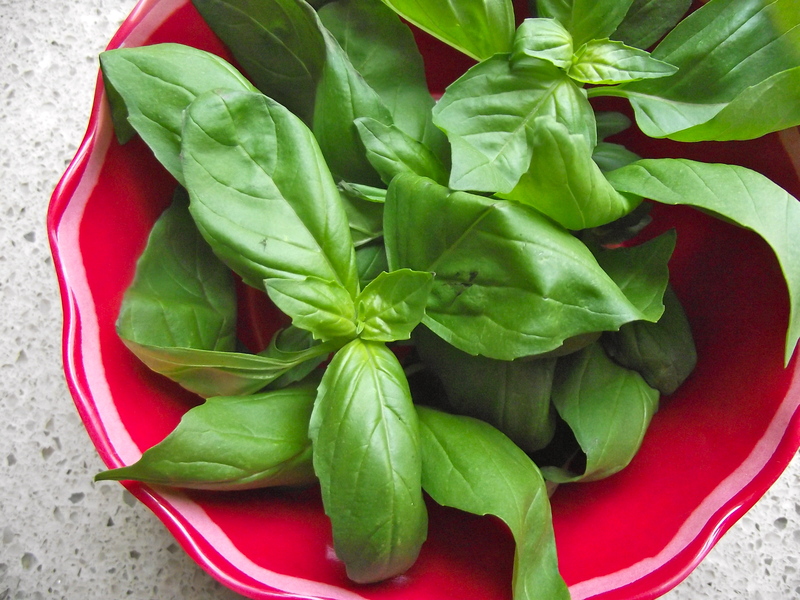 Wash the basil leaves, shake off the water, rough chop, and add to the food processor and pulse twice, using a spatula to bring ingredients from the upper sides. 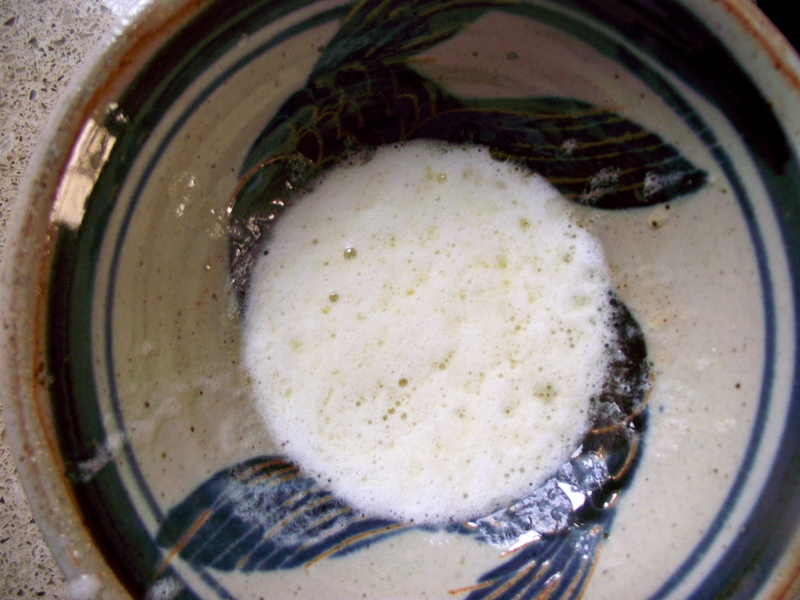 Scrape the ingredients from the upper sides closer to the mixture. 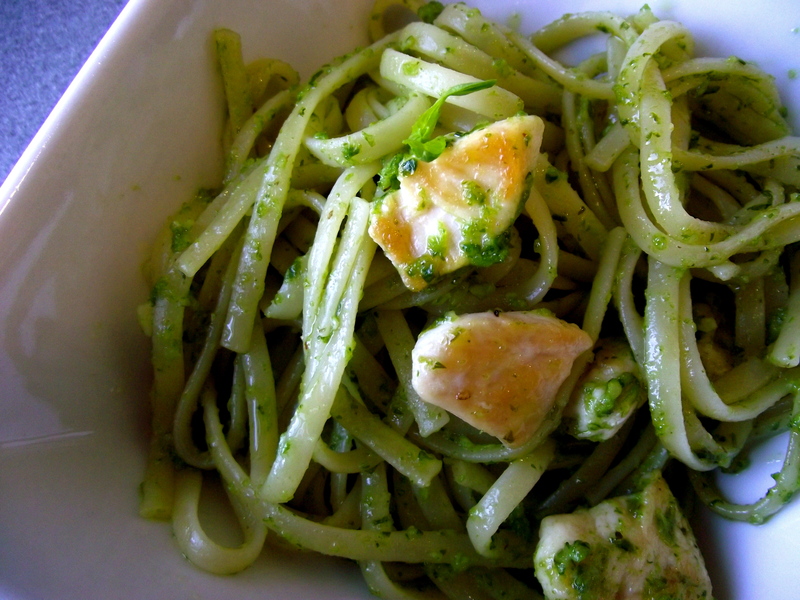 Do the happy dance because pesto makes the world go ’round. Step 4. 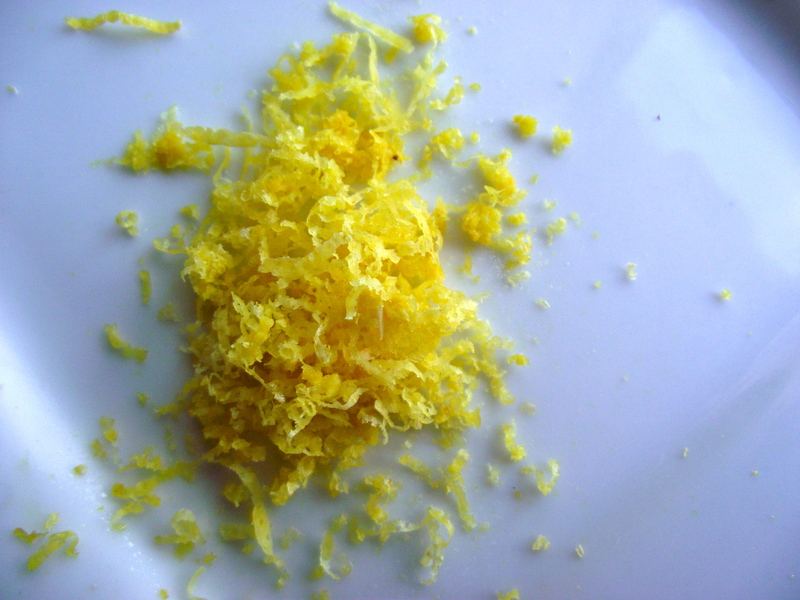 Add the salt, lemon zest and lemon juice. 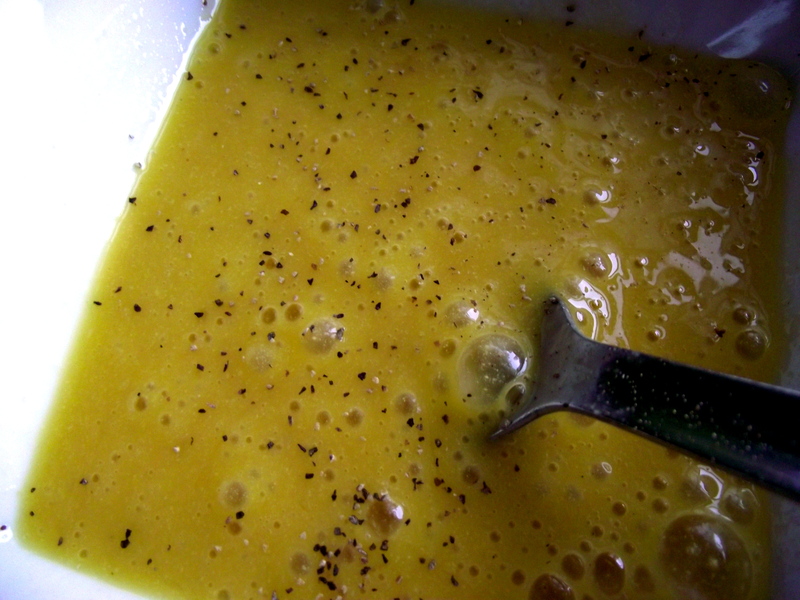 Next, slowly drizzle in the olive oil while running the food processor until all the oil is evenly infused. Use the spatula to help bring ingredients together. Normally, pesto doesn’t call for this much lemon but I prefer a bit more citrus to lighten up the olive oil. Step 5. 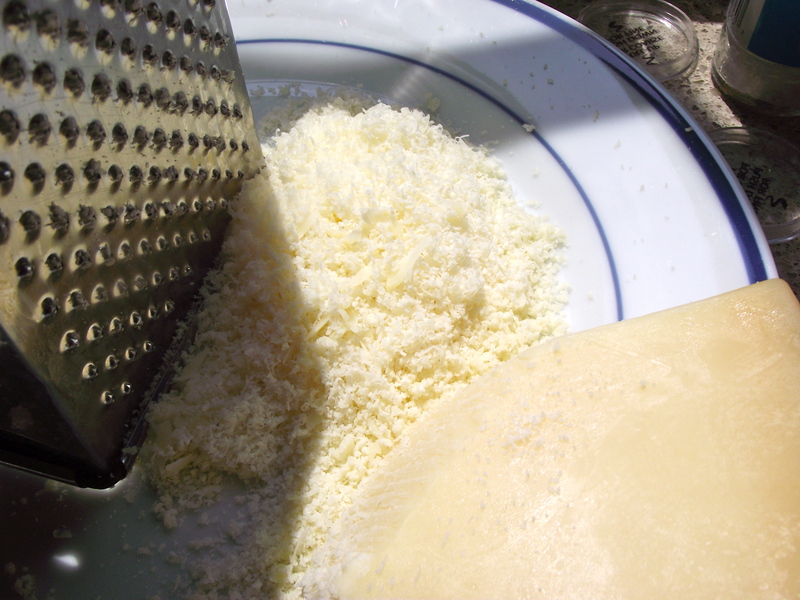 Remove the pesto from the food processor and mix in the Parmesan cheese until evenly combined. 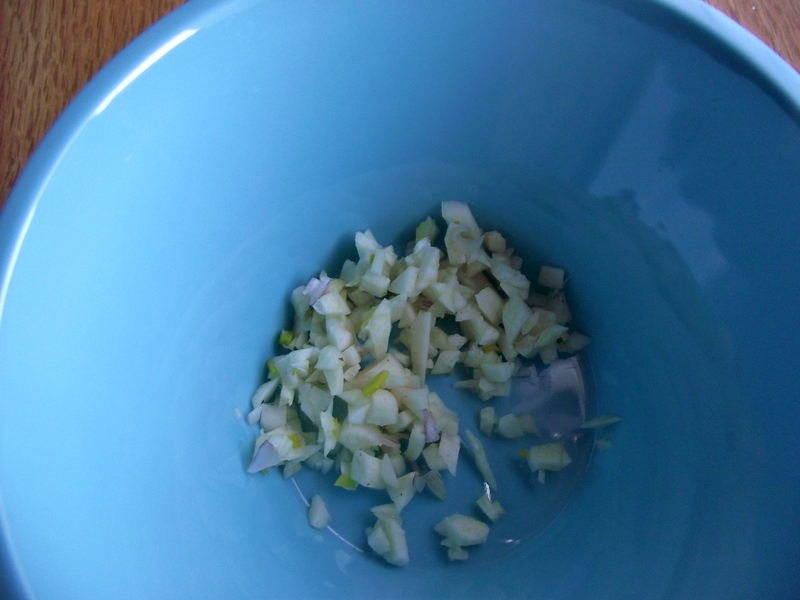 Taste, and add more salt and lemon juice if desired. You deserve it. Mmm chlorophyll. Did I just say that? Step 6. Pair the pesto. Today, I had chicken in the fridge so I cubed one chicken breast and pan fried them until golden-brown and cooked through. While they cooked, I seasoned with salt and pepper. Step 7. 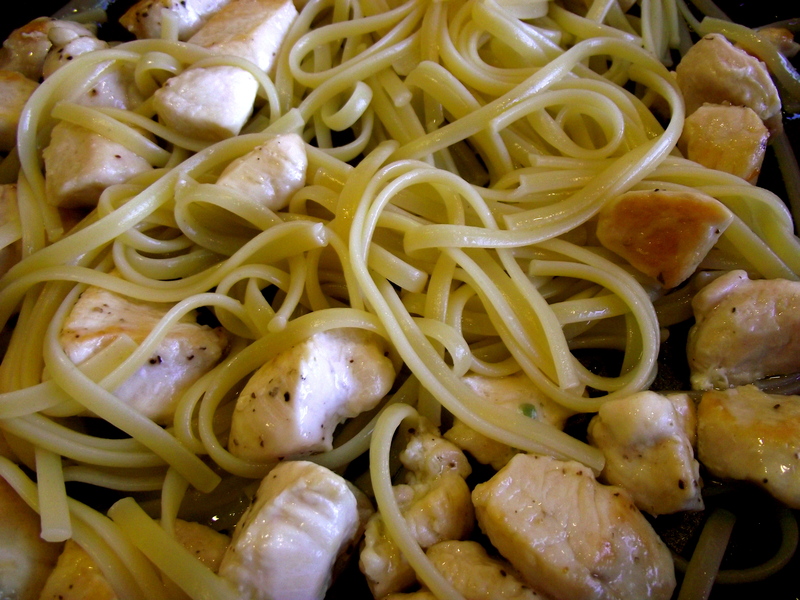 To the chicken, I added 1 cup of cooked linguine pasta and mixed in 2-3 tablespoons of pesto sauce. A little bit goes a long way here, folks. 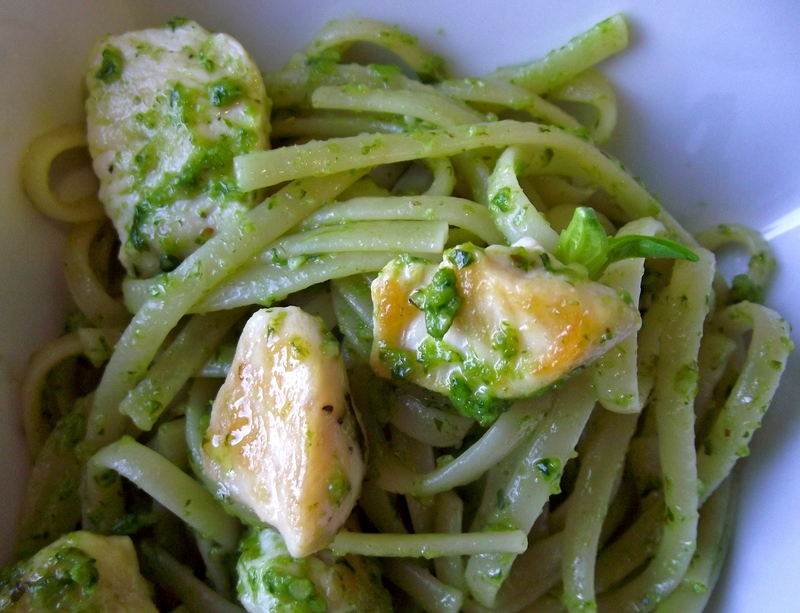 You won’t need a heaping amount for your pasta, so add the pesto a little at a time to avoid over-saucing. 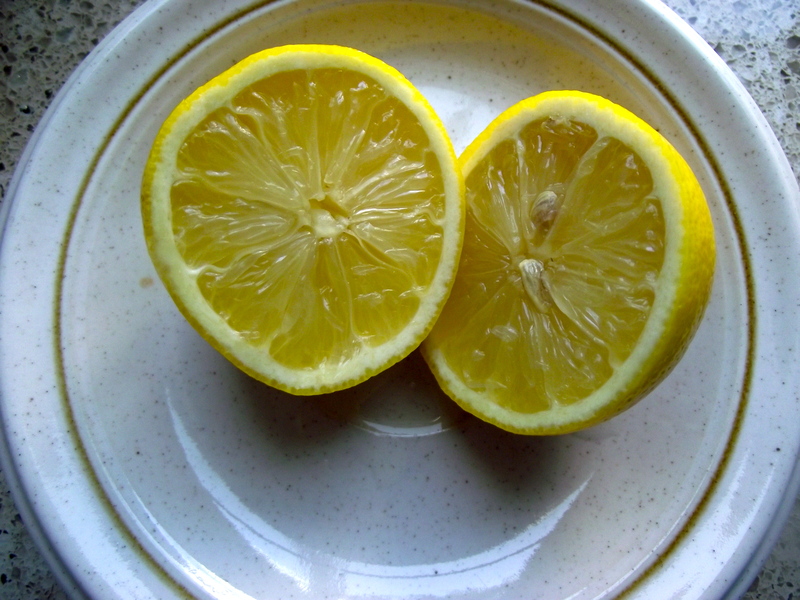 And, if you’re like me, add an extra squeeze of lemon on top. Voila! How can you say no to a face like this? Slurrp. 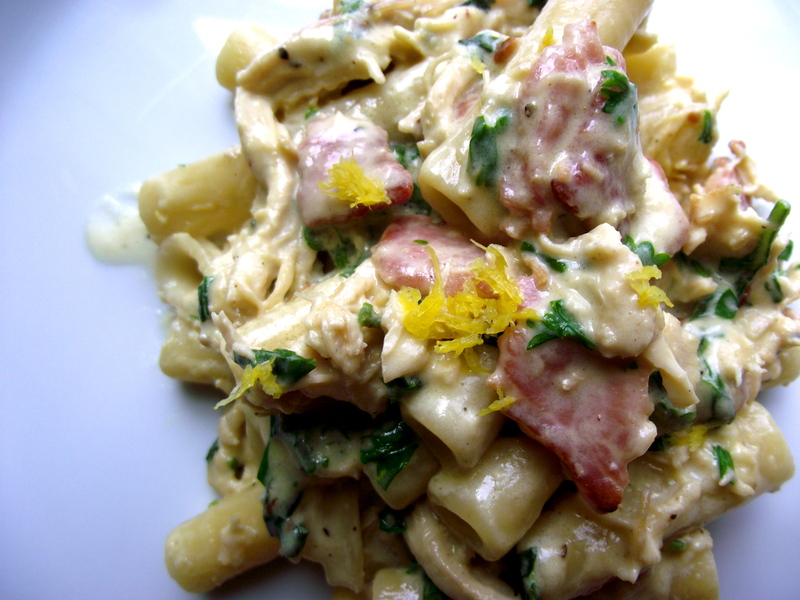 I’ve been on this mission lately to use whatever I already have in the kitchen to make delicious yet different meals. It’s quite the challenge but I think I’m off to a good start. Why the recent inspiration you may ask? Here’s the thing. Cooking for one tends to leave a lot of left over ingredients, especially when it comes to herbs and veggies. So what to do with the rest of it? 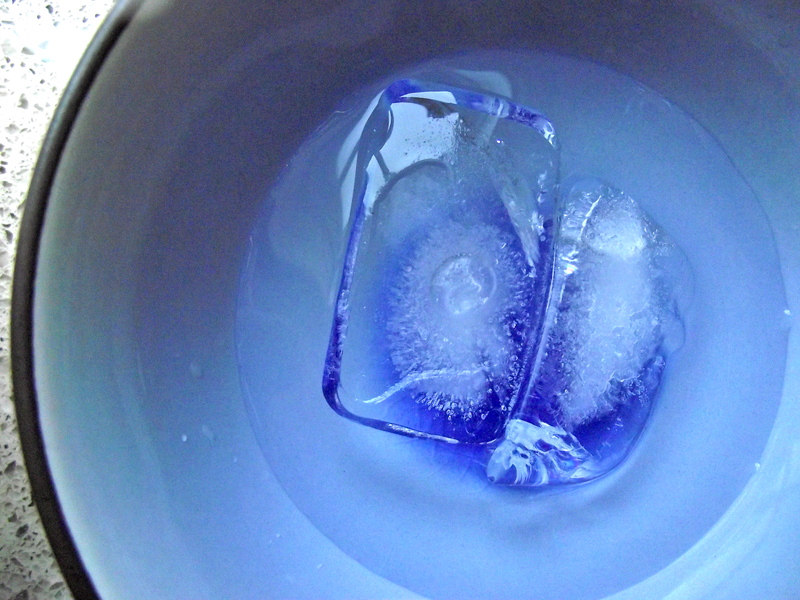 I certainly can’t bear to throw it away but sometimes I forget that I have it in my fridge and it goes to waste. So, in an effort to be more resourceful, I’m determined to find ways to make new meals using the same staple ingredients. Think I can do it? I had leftover chicken and snow peas from a noodle dish I made for my cousin’s baby shower over the weekend. Everything else I already had in my pantry and fridge. I found this recipe through epicurious.com, one of my absolute favorites to visit when I’m searching for something unique. This one is a great find indeed. 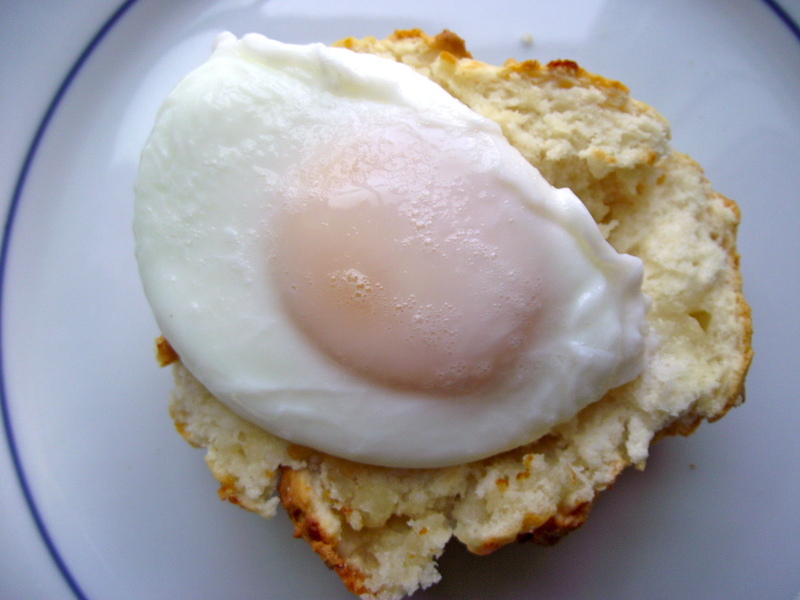 It adds a new twist to the regular bread crumb and egg routine. And don’t worry, this won’t taste like you’re eating chicken dipped in mustard at all, which was one of my primary concerns. 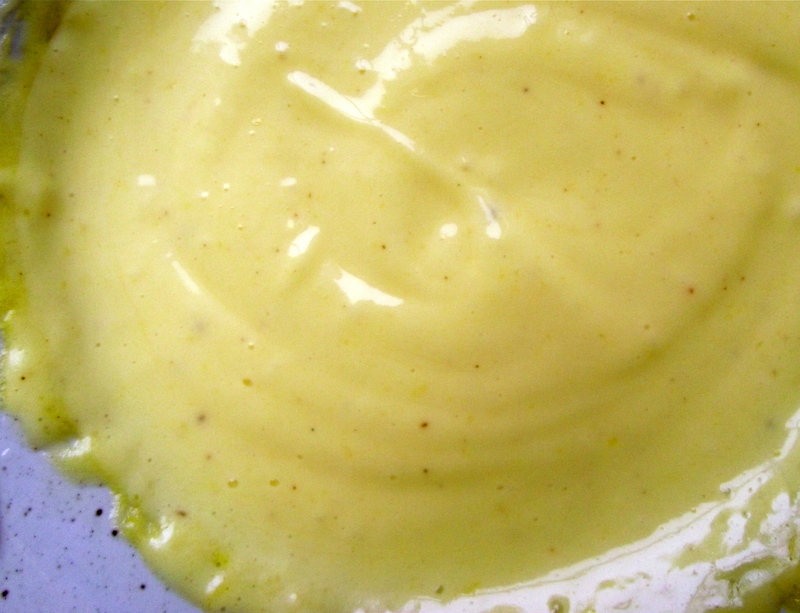 (Not that I don’t like mustard-it’s delicious! But I didn’t want it to be too overpowering). Step 1. 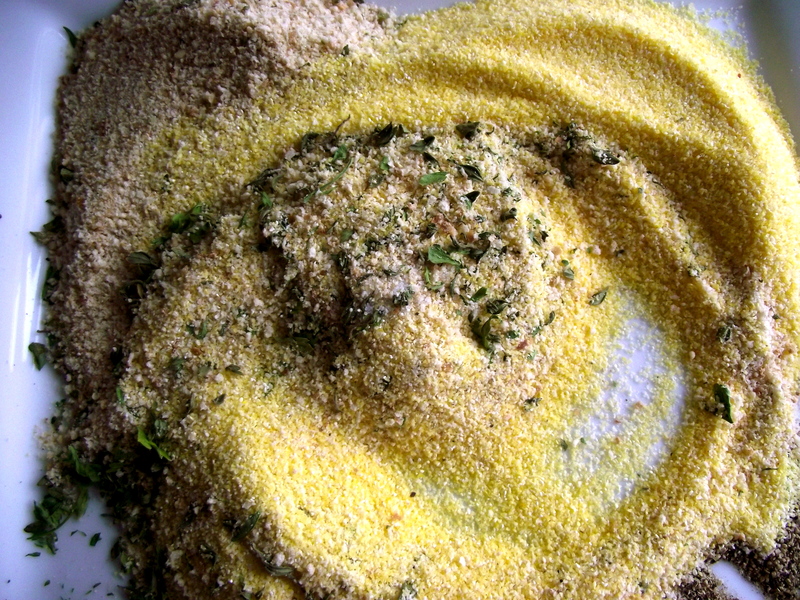 Measure out the breadcrumbs, cornmeal, parsley, thyme, salt and pepper. Step 2. Mix the breading thoroughly. Taste and add more salt if needed. That’s right, I said taste! 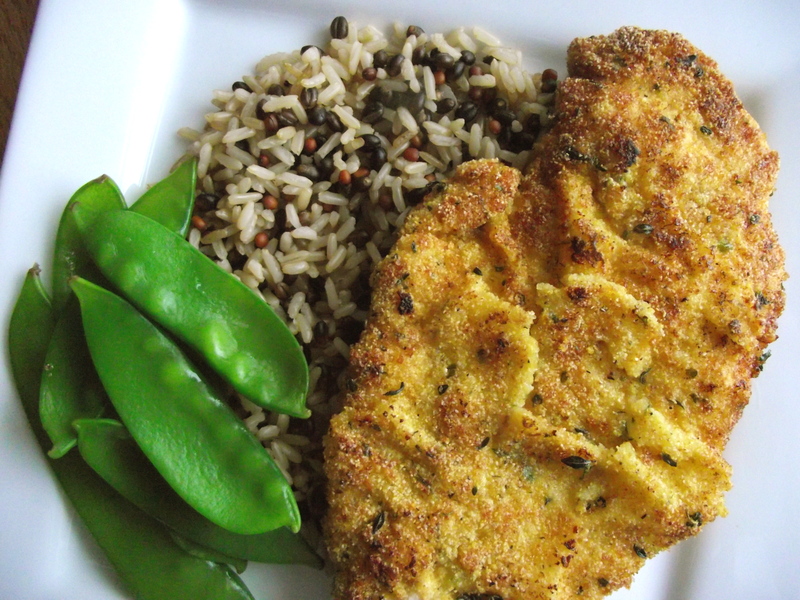 Bland breading makes a bland chicken, ya hear? Step 3. 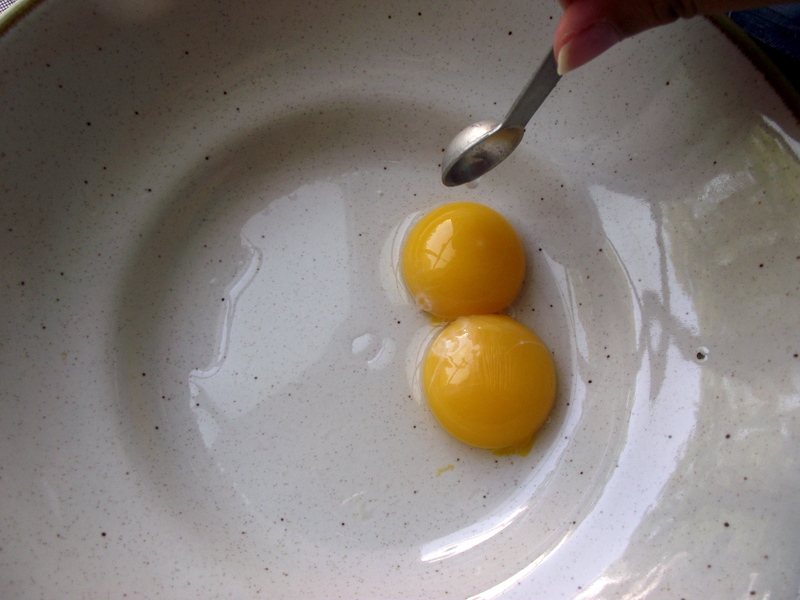 In a bowl, crack open one egg and add the dijon mustard. I added a few drops of honey and hot sauce just to sweet and spice it up. I’m daring like that. Step 4. 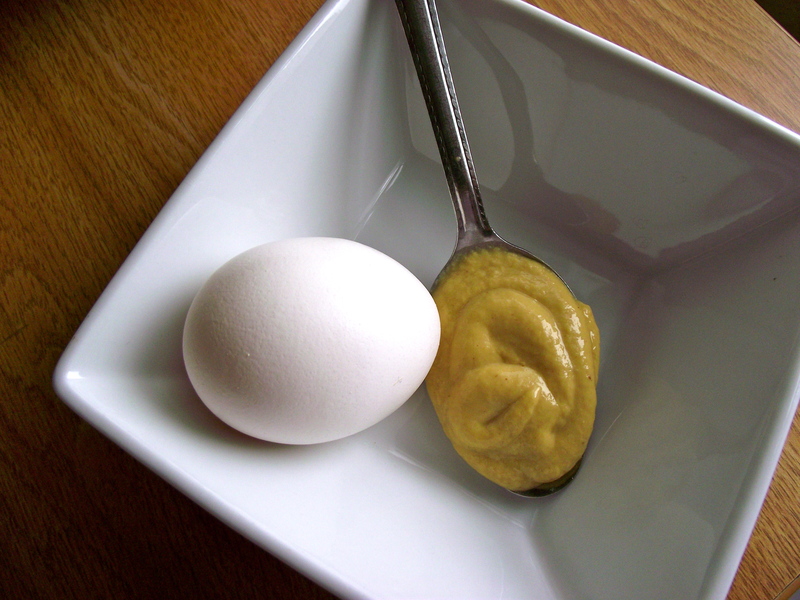 Whip up the eggs and Dijon mustard until they are evenly combined in a golden-yellow eggy mixture. I added a bit of pepper because I like to live on the edge. Just a dash is all you need. Step 5. 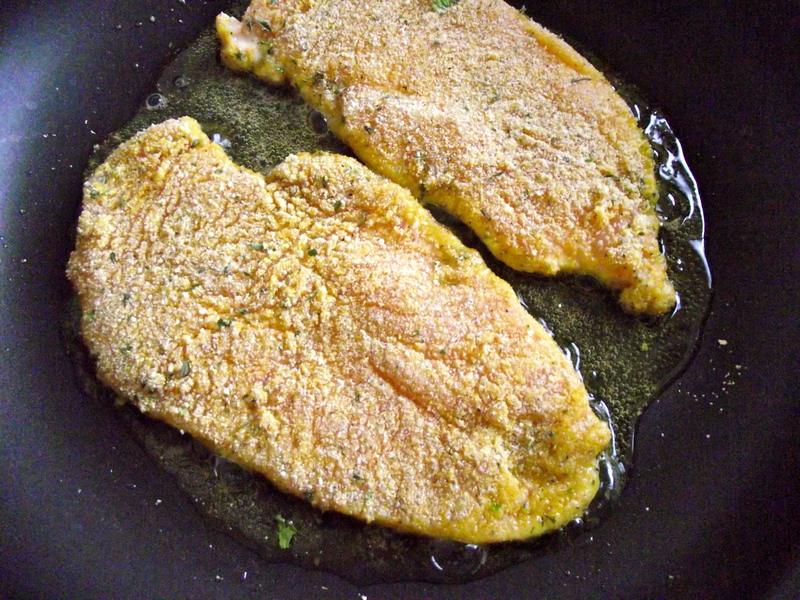 Take out a non-stick frying pan, add about 3 tablespoons of olive oil and heat on medium-high. While you’re heating the pan, take out the chicken breasts from the packaging. 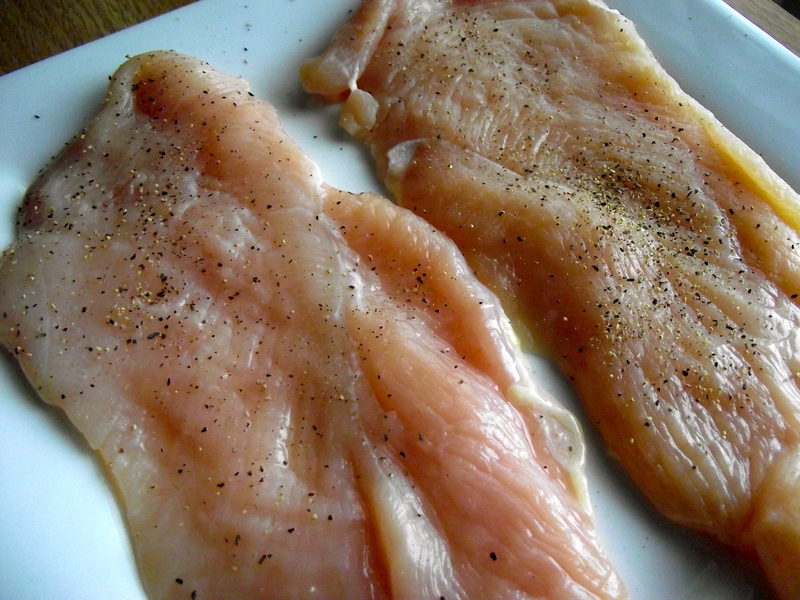 Slice the chicken breasts lengthwise to get thin cuts – highly recommend! Wash, pat dry, and plate. Season with a bit of salt and pepper. 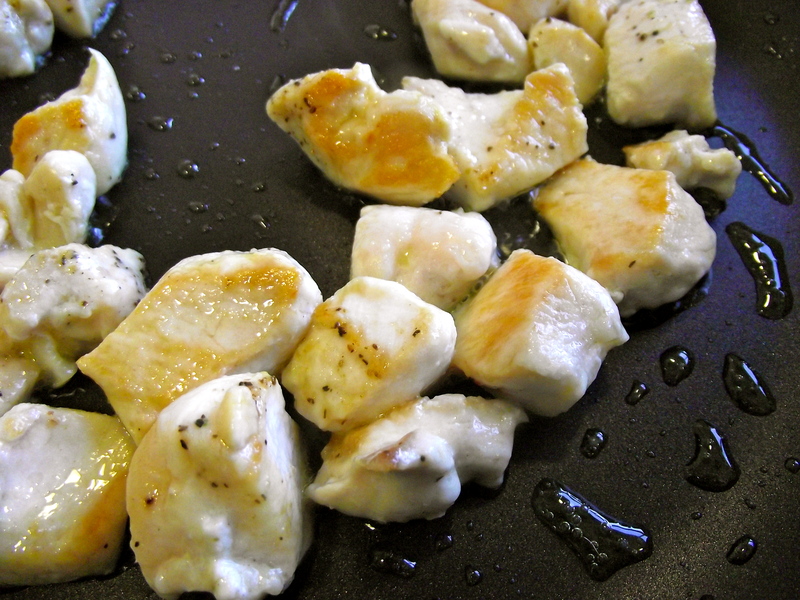 Chicken breasts tend to be a bit thicker in the middle. If you don’t feel comfortable slicing it yourself, get your grocery store butcher to do it for you or take a mallet, put the chicken breast in between plastic wrap, and smash the living daylights out of it! Ok, not to that extreme, but you do want it somewhat flat. Step 6. 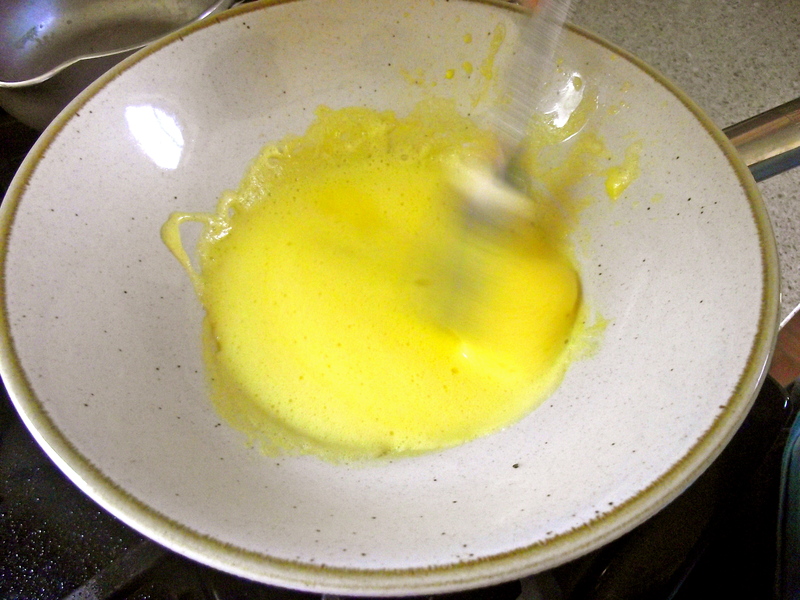 When the oil is hot and ready, dip the chicken into the egg mixture then dredge in the breading mixture. Make sure all surfaces are covered. 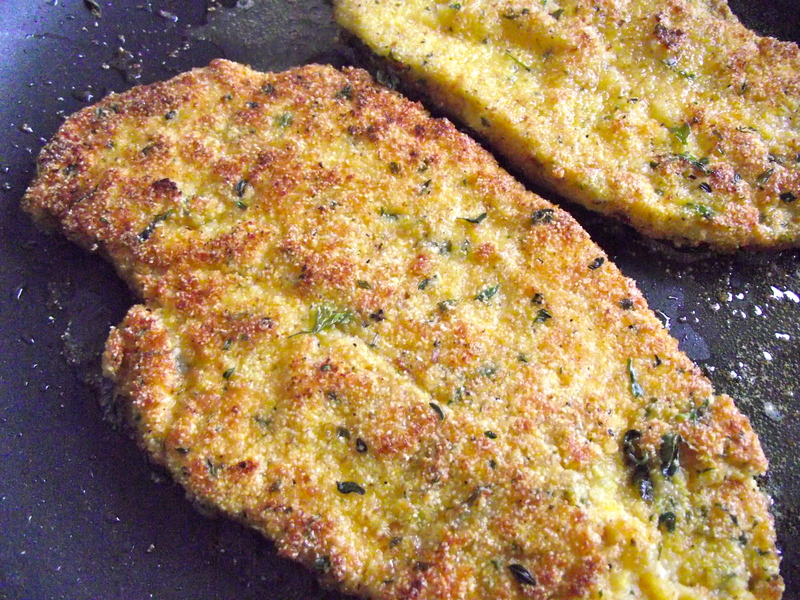 Shake off any excess breading and place in the hot pan. 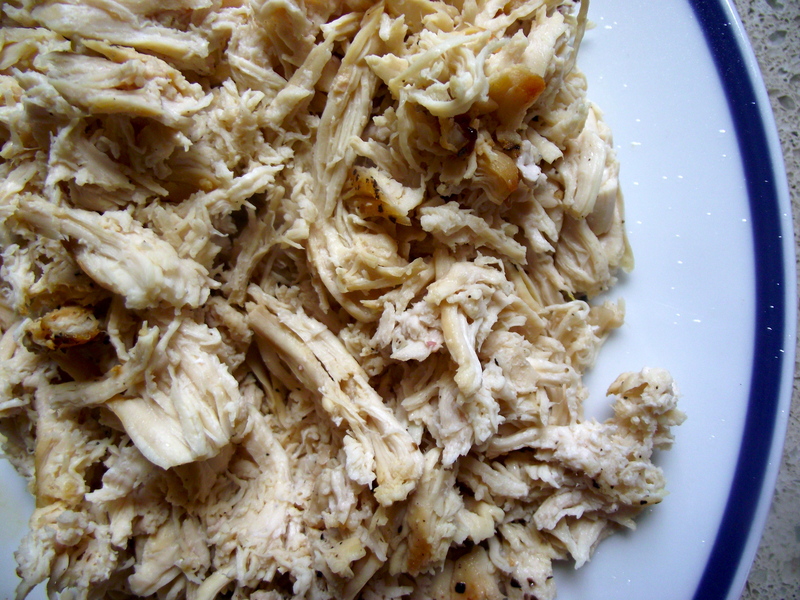 Allow to cook for 3-4 minutes on one side or until golden brown and crispy. Step 7. Flip over to the other side and also let cook for about 3 minutes, leaving heat on medium-high. Oooh my, this is the color and texture that you want. Droool. Turn off the heat and place the chicken on a separate plate. Done! 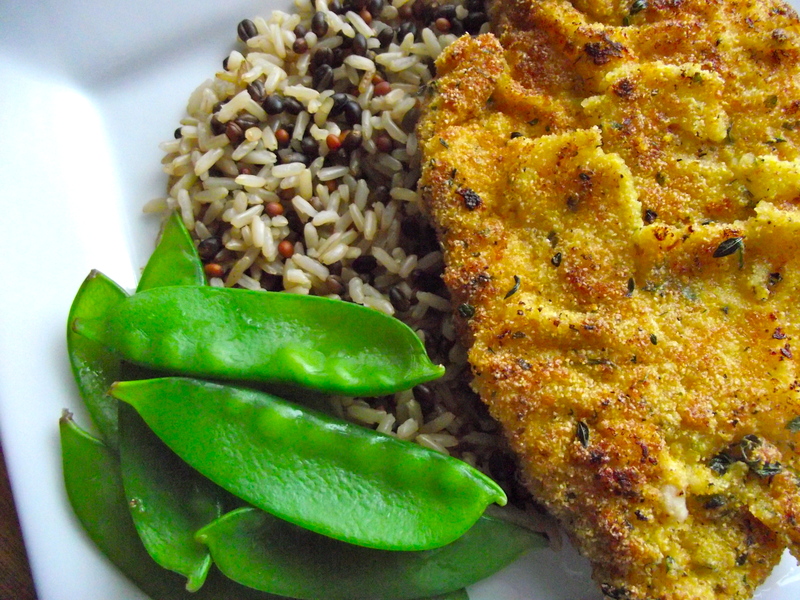 Pair the chicken with your favorite veggies and grains. I used brown rice medley from Trader Joe’s and steamed snow peas. I haven’t been excited about something so simple in such a long time. Perhaps it’s because I didn’t have to purchase anything to make it, which is a rarity in this girl’s kitchen. 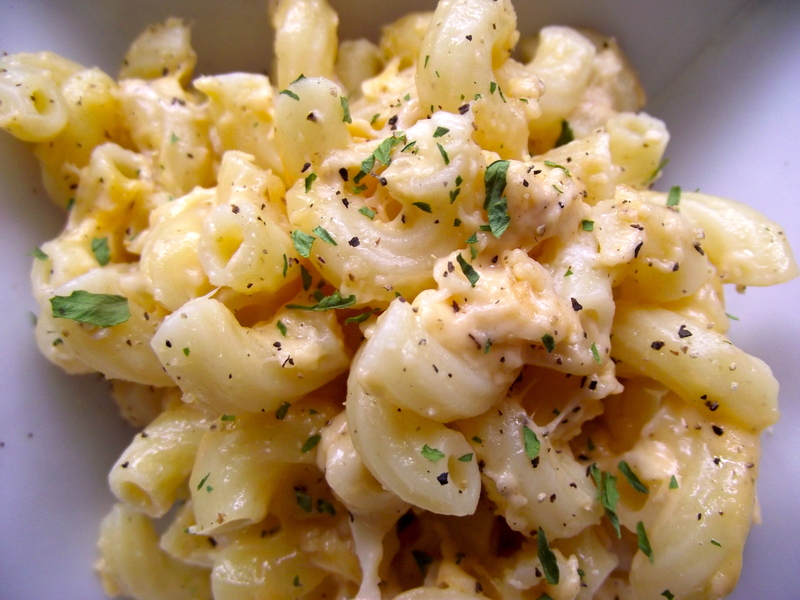 What is it about macaroni and cheese that makes it taste so darn good? It must be the macaroni; it must be the cheese. It must be the fact that when mixed together, magic happens. That’s gotta be it. Although simple and seemingly plain, its sheer versatility adds much to its appeal. Tucked away in many traditions are countless varieties on what we claim is the best mac and cheese recipe ever. If you tell me this, I’ll believe you. 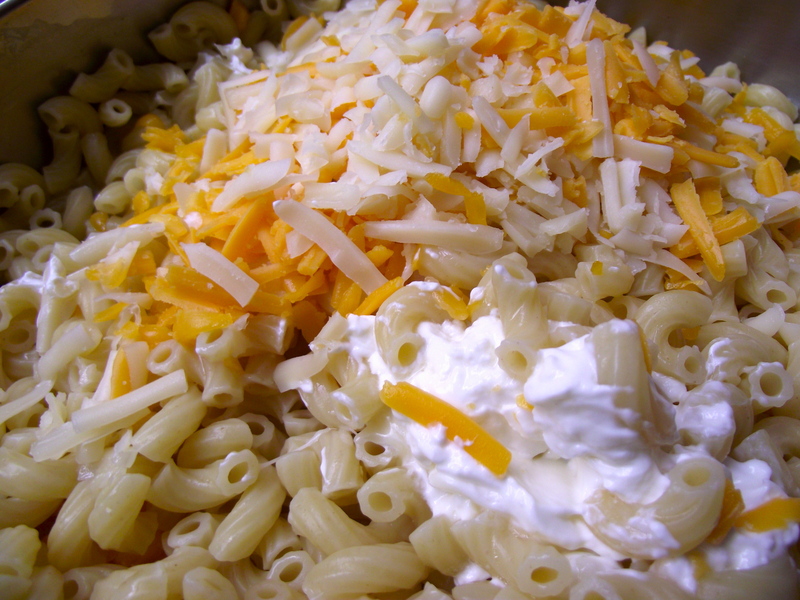 I love mac and cheese because it yields to creativity and many times it works. Once, a friend added steak from last night’s dinner into the mix, sprinkled fresh mozzarella on top, popped it in the broiler for a few minutes and served it with fresh diced tomato. Oh my goodness. My heart melted. Possibilities? They’re endless. From cheddar cheese to gruyere and bleu, one’s favorite mac and cheese is really, a personal thing. This is by no means a recipe for ‘the best mac and cheese ever’, but it is a good place to start, especially if you like cheddar and Swiss cheese. This version highlights their piquant flavors, which is balanced quite nicely by the cream cheese. Expect a burst of sharp, creamy flavor – definitely the kind you won’t get from say, velveeta-type cheeses, which are much much milder. 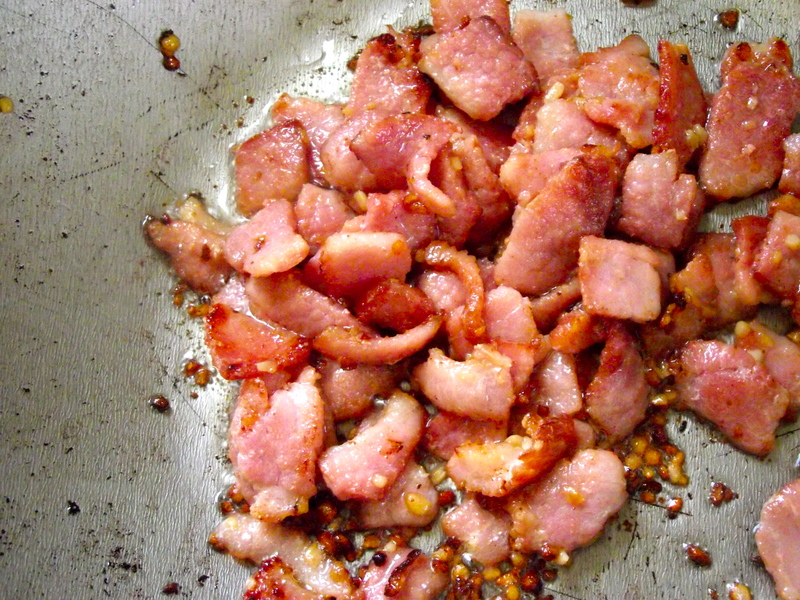 Mix in crispy chopped bacon and serve for dinner? Ohhh, you’ll make new friends. Step 1. Cook pasta, following directions on box, then drain when cooked. 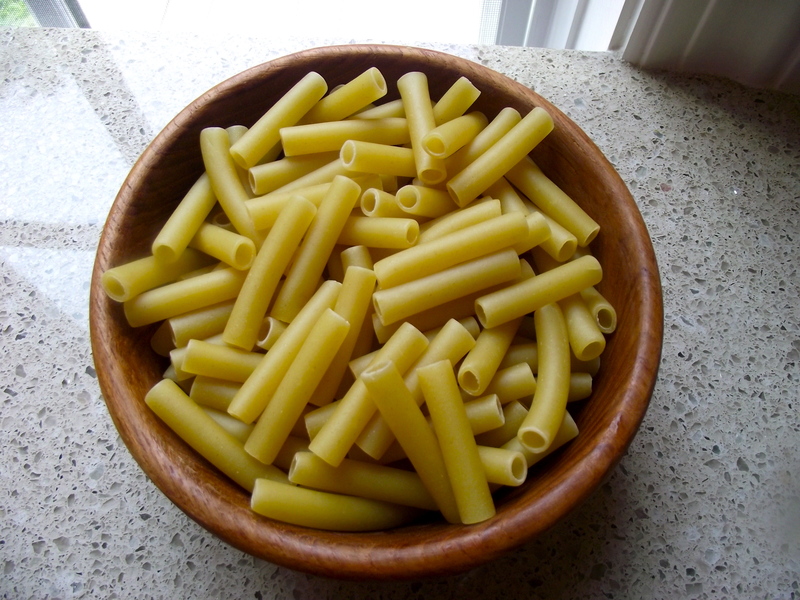 Leave the pasta in the same pot. Step 2. 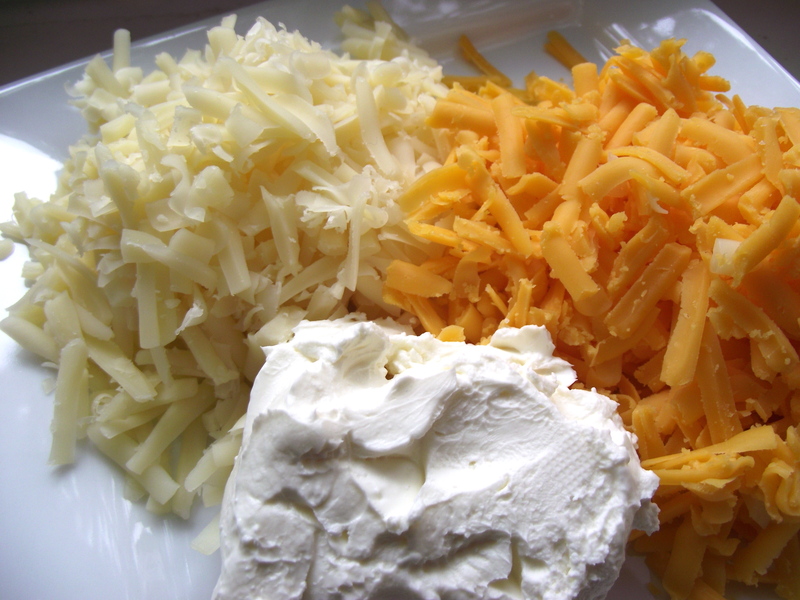 On medium-low, add the cream cheese, swiss cheese, and cheddar cheese in small quantities. Mix until evenly combined then add more. Then sneak in a few bites of cheese. I won’t tell. Step 3. 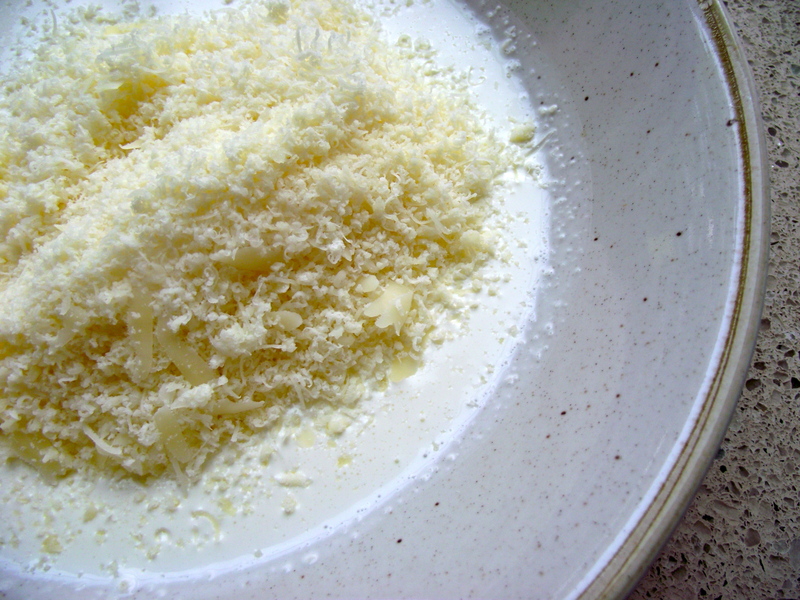 Continue until all cheese is evenly mixed and melted. There’s something about the way swiss cheese melts that I love. The stringy quality – there’s nothing quite like it. Add salt and pepper to taste. Mix and taste, and taste some more. Done! 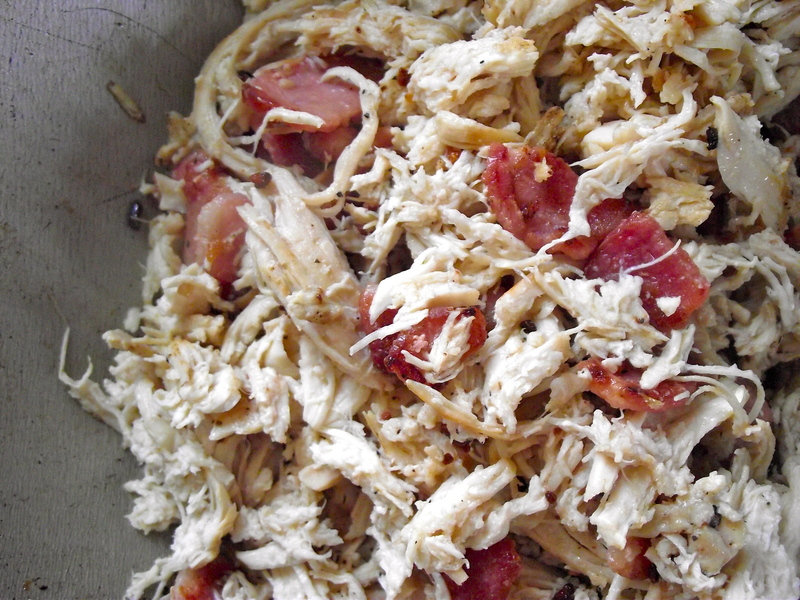 But don’t feel compelled to stop here; sauteed onions and polska kielbasa, broccoli and bacon, chicken and sundried tomatoes, hamburger and…it’s enough to keep me up for hours. But if you enjoy the simple things, I won’t hold it against you. 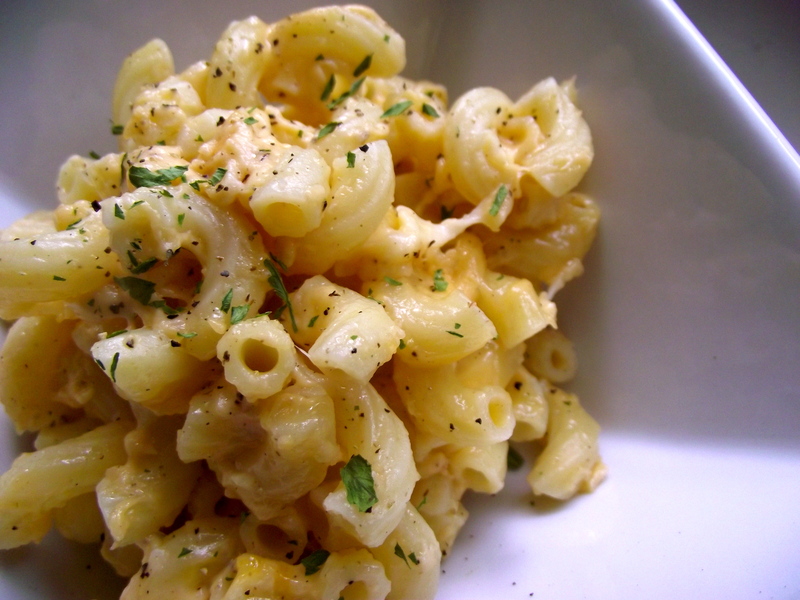 Make your own perfect mac and cheese. Then share it with me. 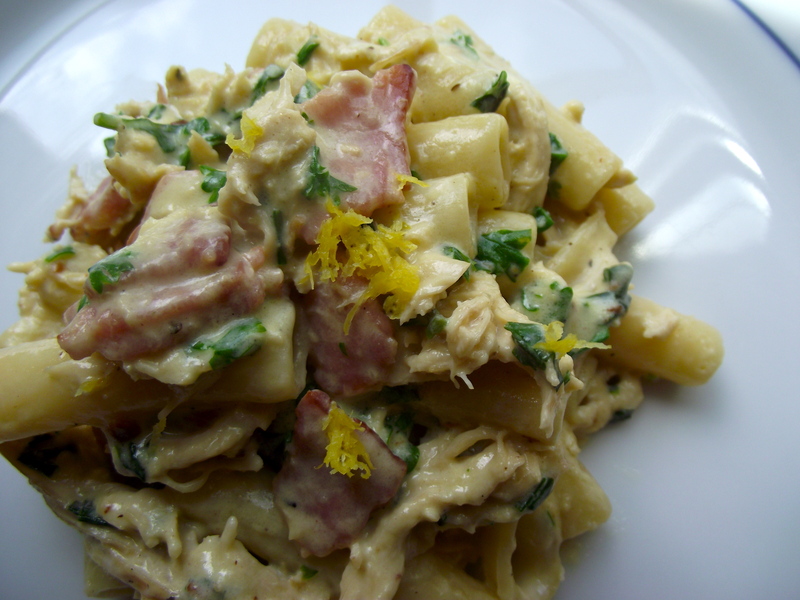 This version has a tendency to dry out after popping leftovers in the fridge since the recipe calls for solid ingredients only. 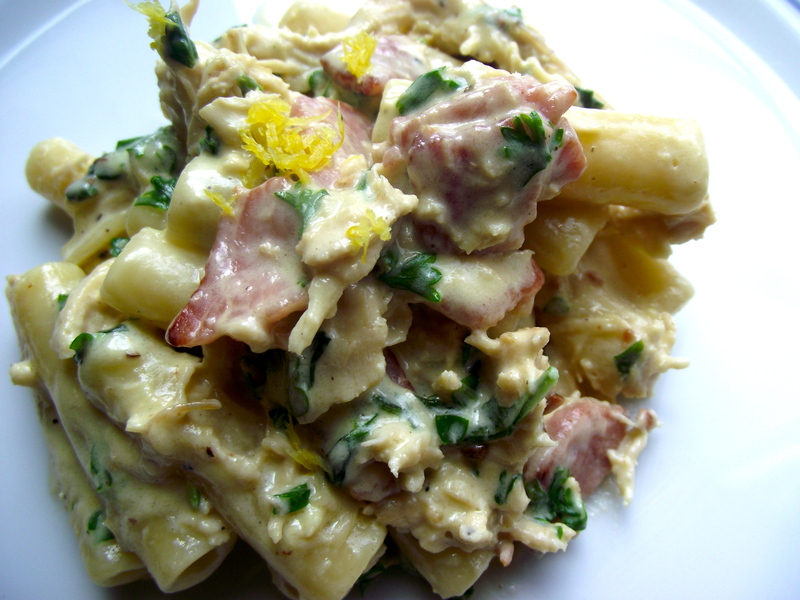 Heating it thoroughly with a splash of cream or milk however, restored the macaroni back to creamy goodness.